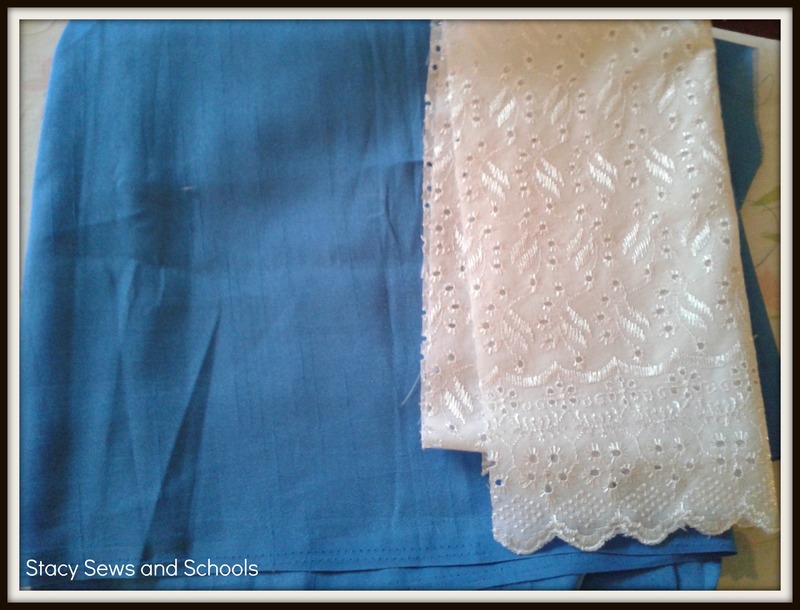 Place your child’s shirt on the fabric, folded side to folded side. Cut around WIDELY, leaving lots of space!! You will need about 3 extra inches. 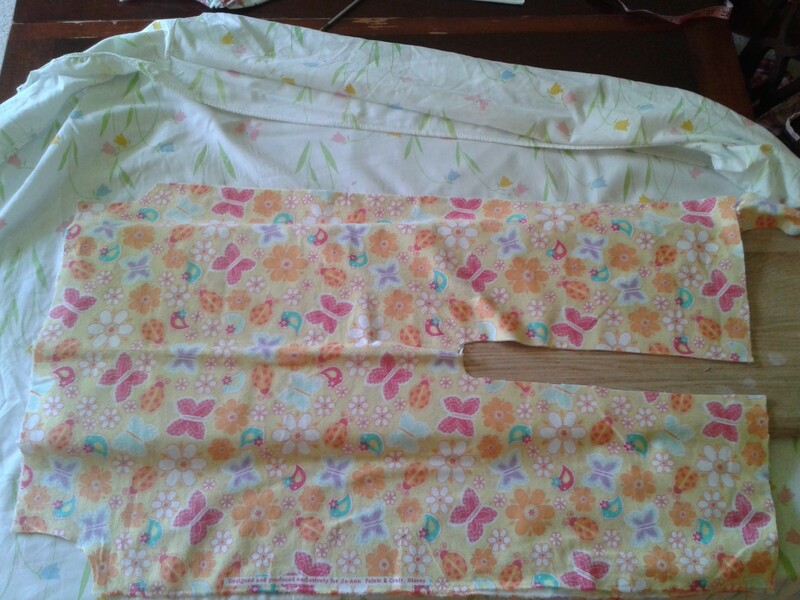 If your fabric has a wrong side you will need to flip the bodice piece you just cut before laying it on the fabric. 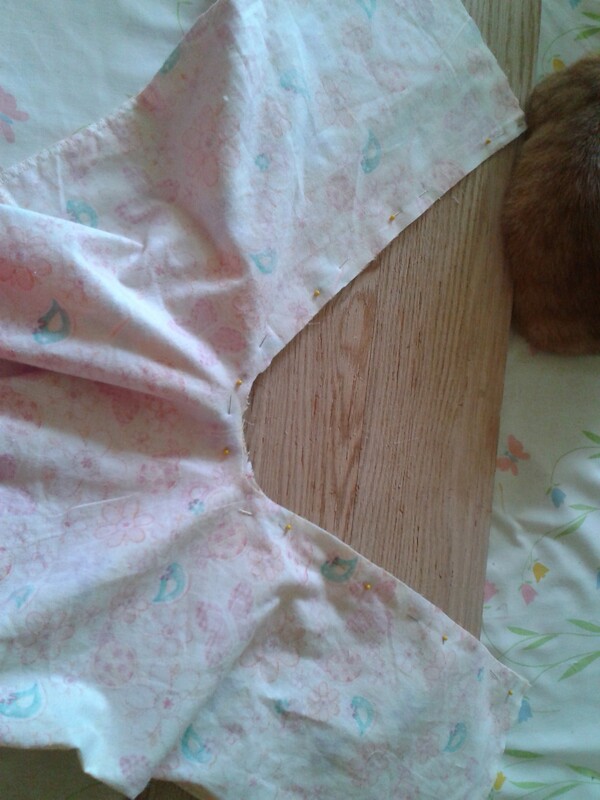 Now cut the back bodice piece. 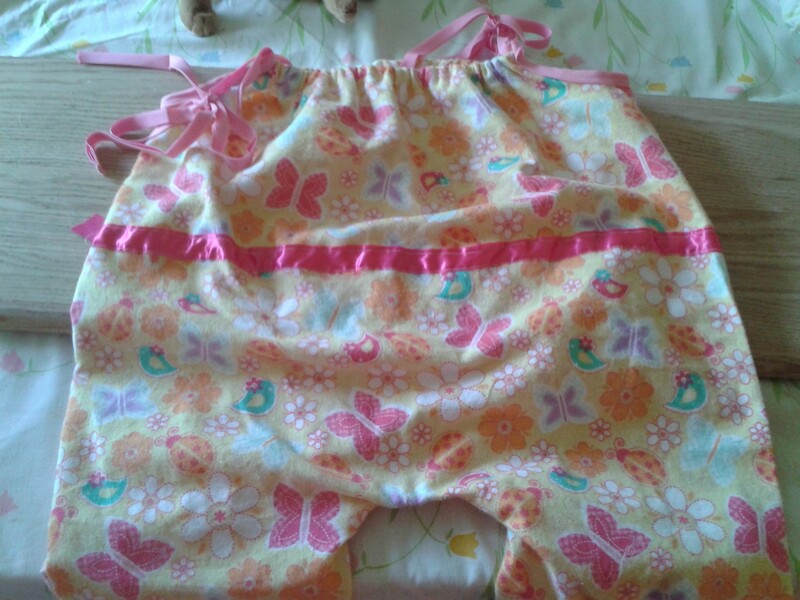 Place your child’s shorts on the fabric with the crotch pulled out all the way. 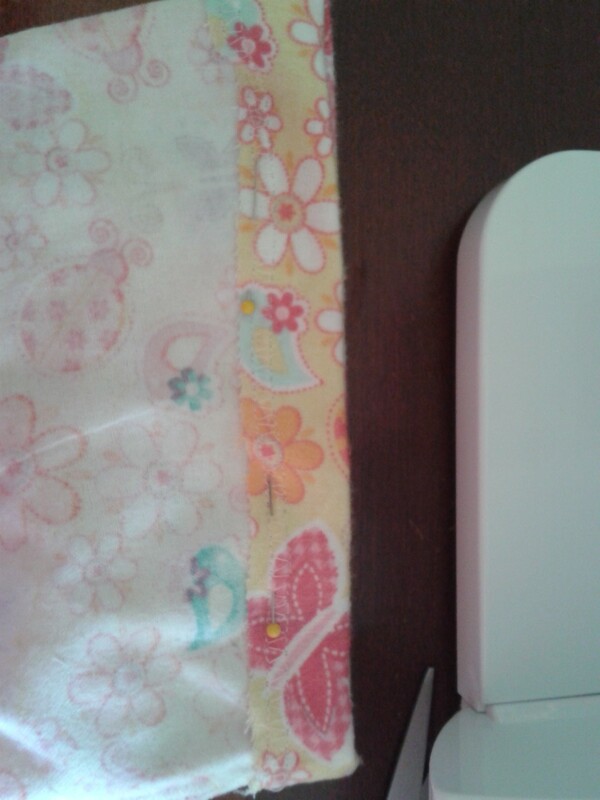 Cut around it leaving a small space all around for seam allowance. 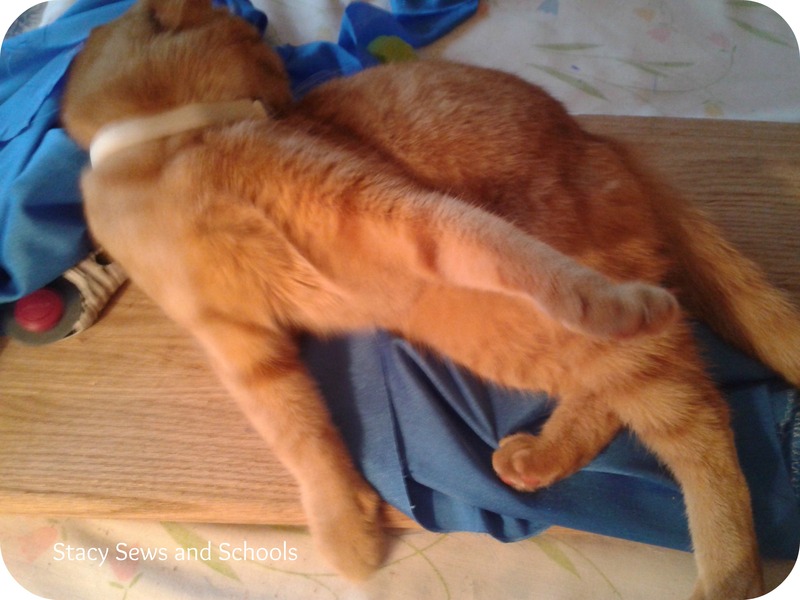 Flip the leg you just cut and place it on the fabric. Cut the 2nd leg. 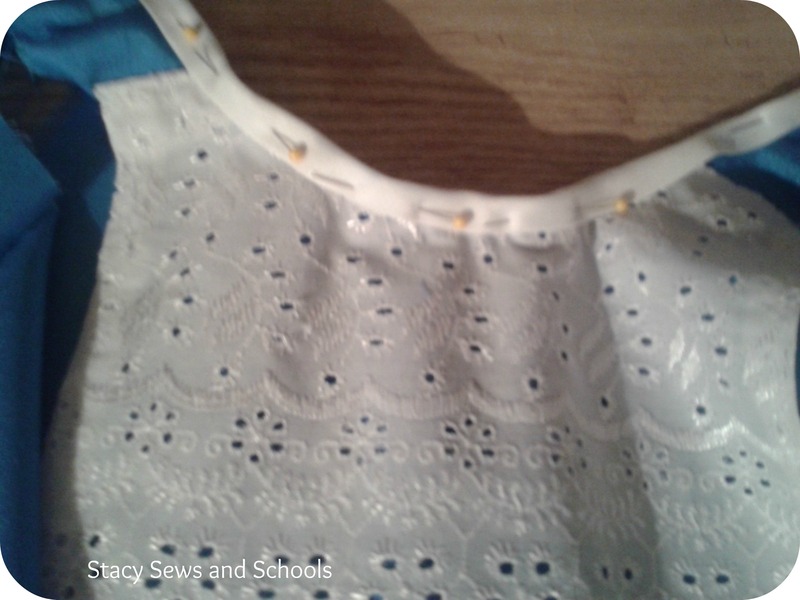 Cut your lace to the length YOU would like it to be for the top of the blouse. Do the same to the other leg. Pin one side of the back bodice to one side of the front bodice. 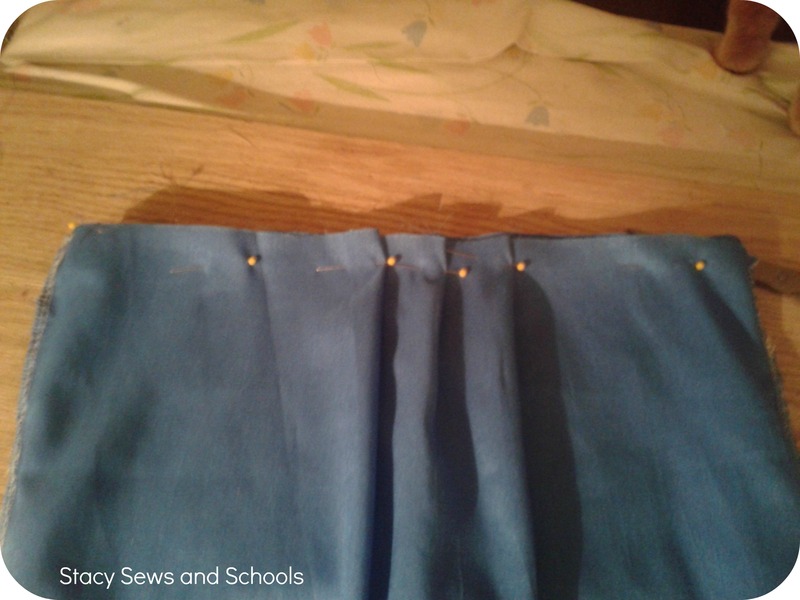 If your fabric has a right and a wrong side, make sure to put right sides together. 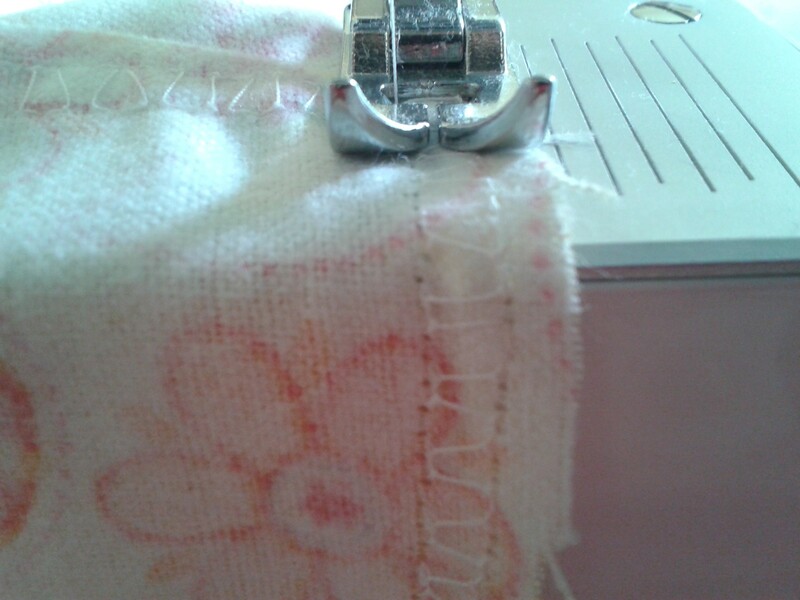 Sew the seam and press. 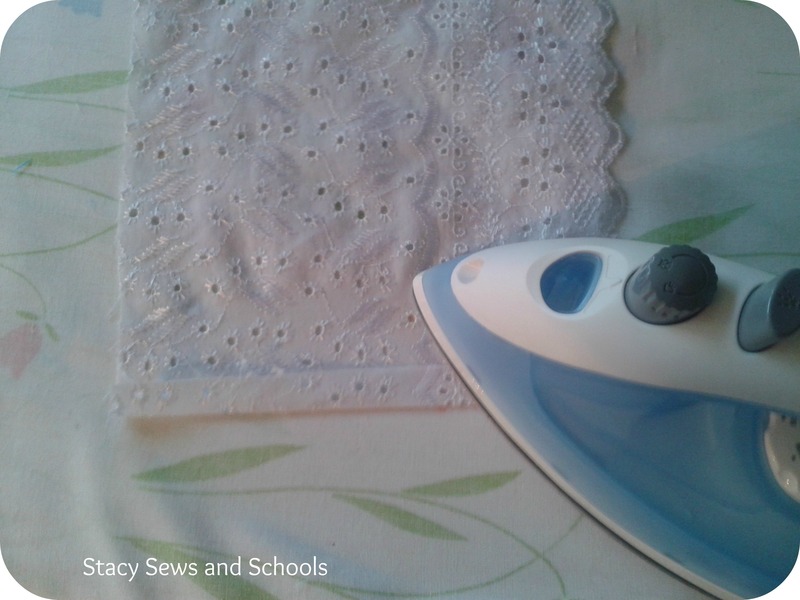 Press over a bit on the sides of your lace. Make sure to line up the scallops on the bottom so your won’t have anything showing. 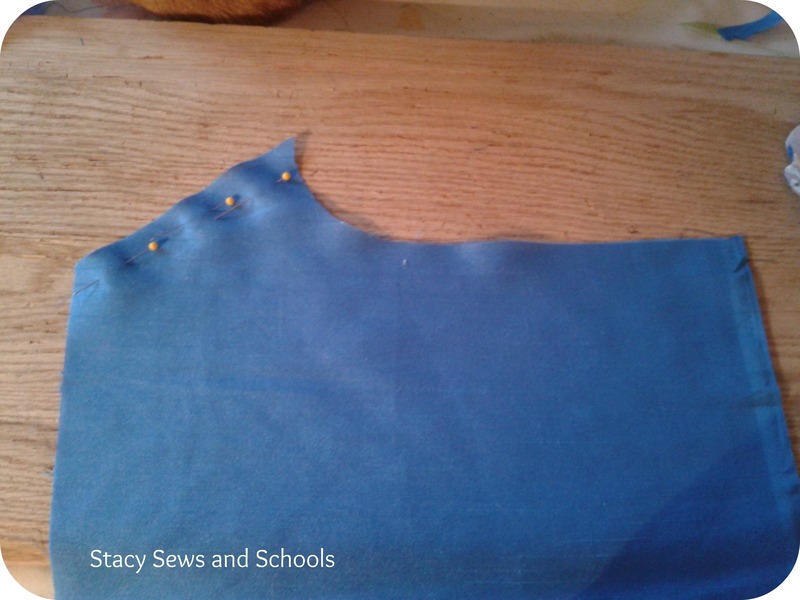 Sew a line of stitches down the sides. Fold over about a 1/2 inch from the top and press. 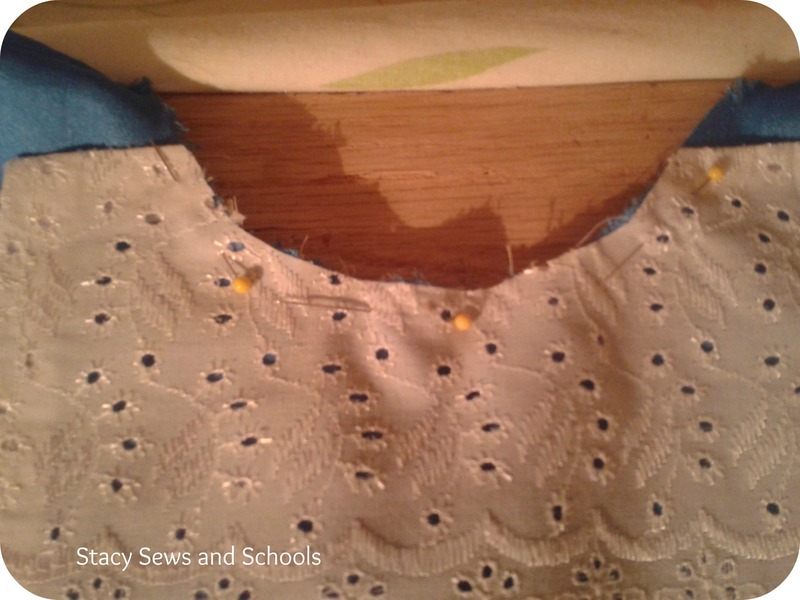 Pin the lace and stitch it to the bodice. 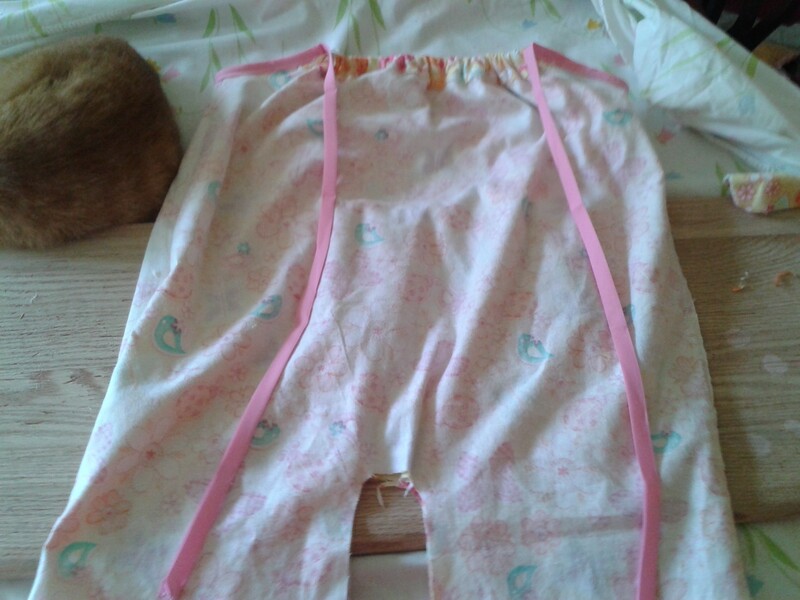 One thing that I should have done that I didn’t do here is finish the edges of the back bodice. You should do that… LOL Then pin 1 1/2 ” of the edges to the inside and press. Leave the pins there for a sec. 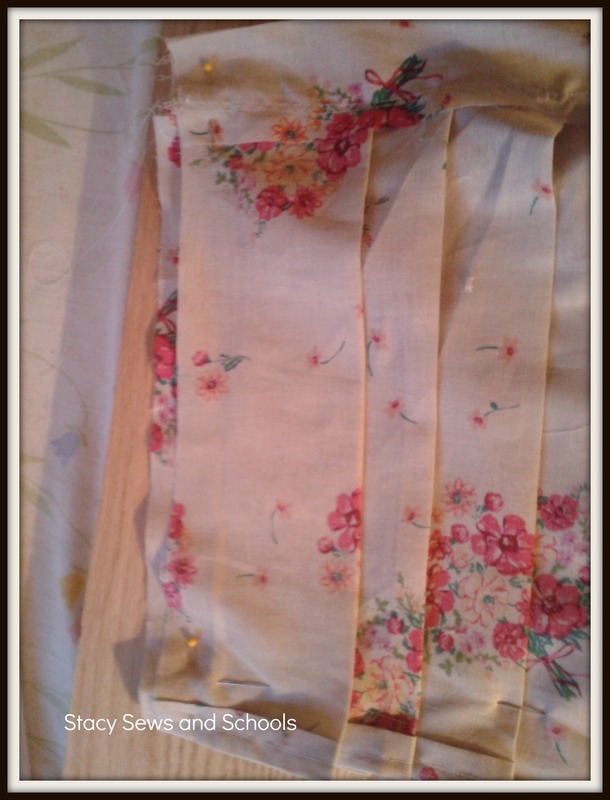 Pin your bias tape all along the top of the bodice. 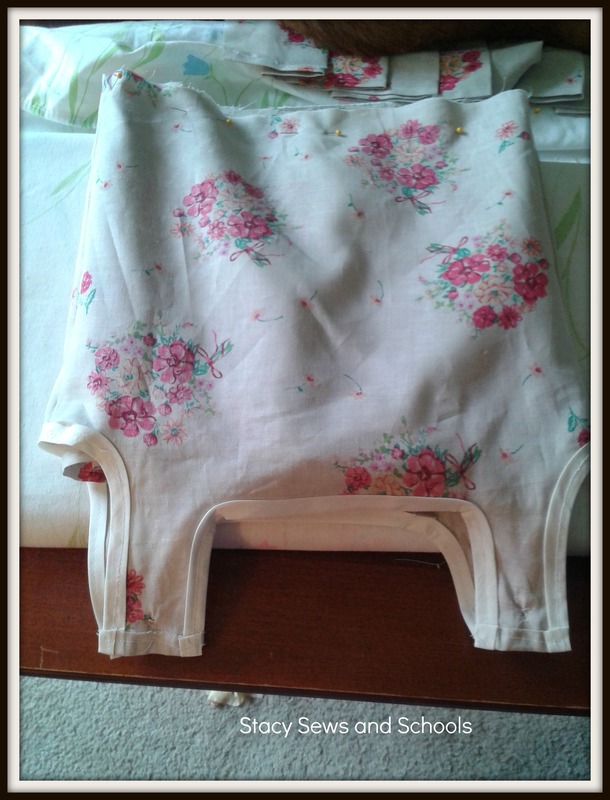 You can then remove the pins from the back bodice. 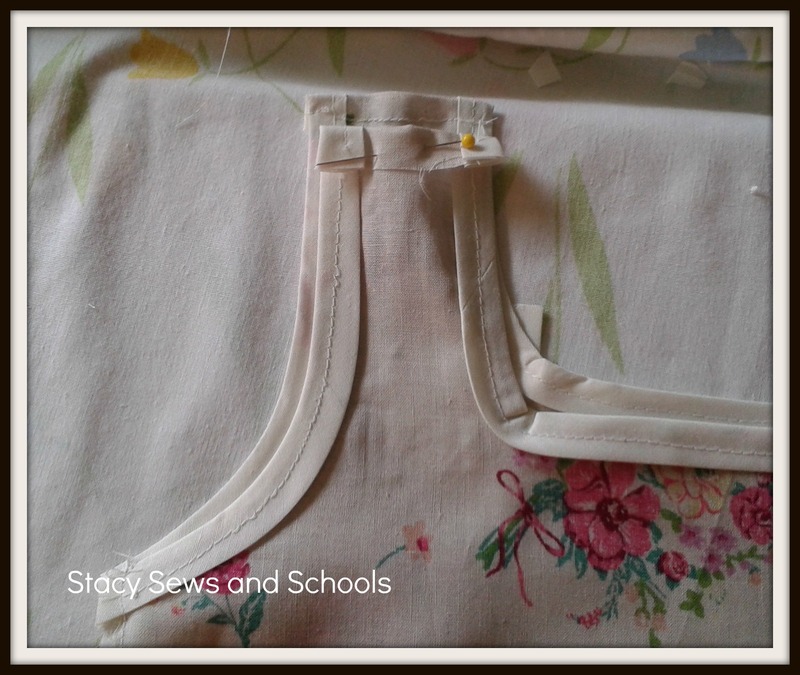 Sew the bias tape to the neckline. 🙂 Press! 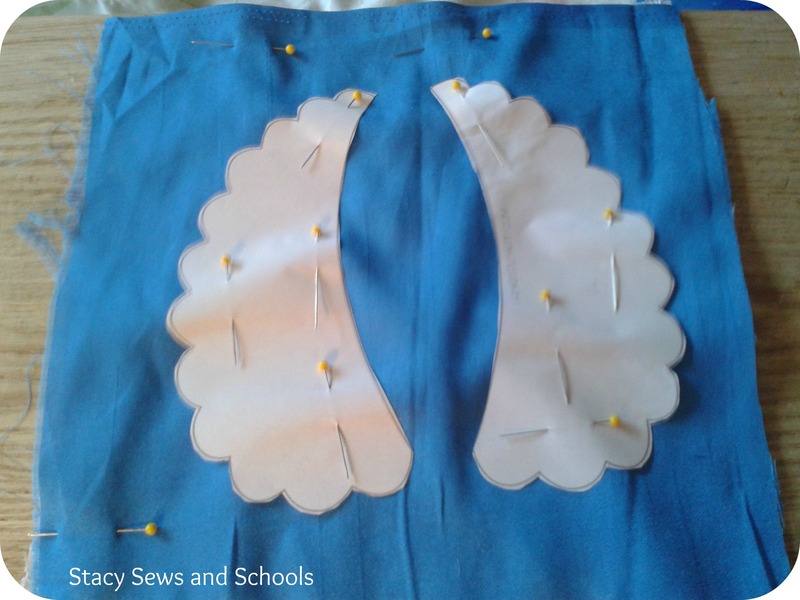 Pin the bias tape around the armholes and sew it in place! Press! 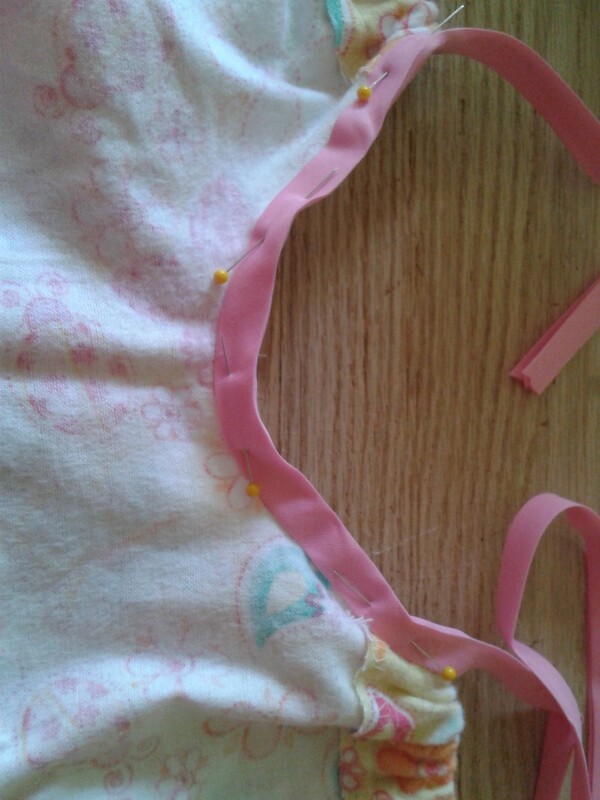 Pin the back bodice from the bottom to about 1/2 way up. 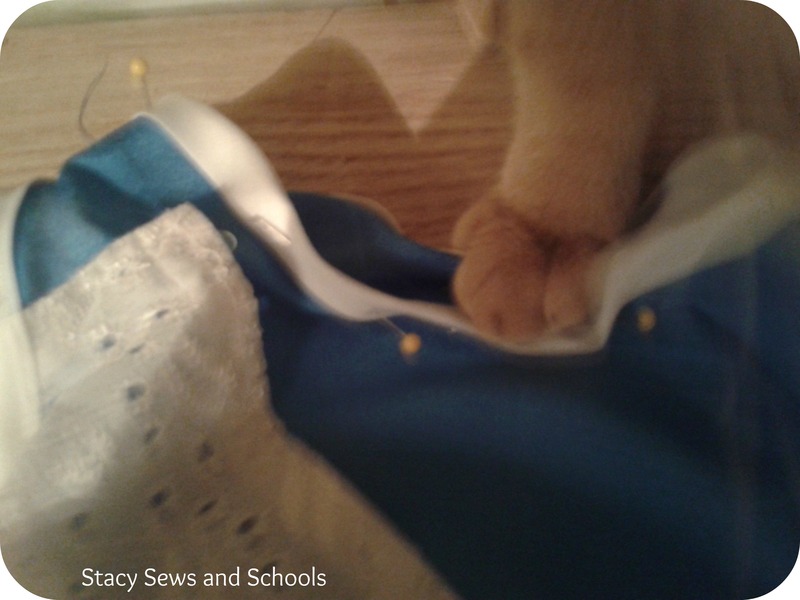 Sew the seam and press! 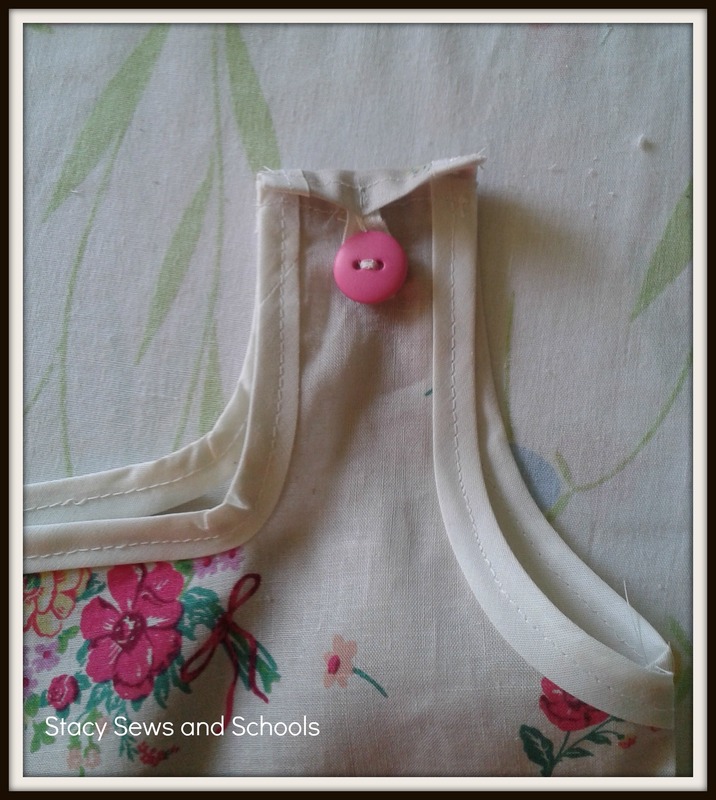 Place your button at the very top of the back bodice. 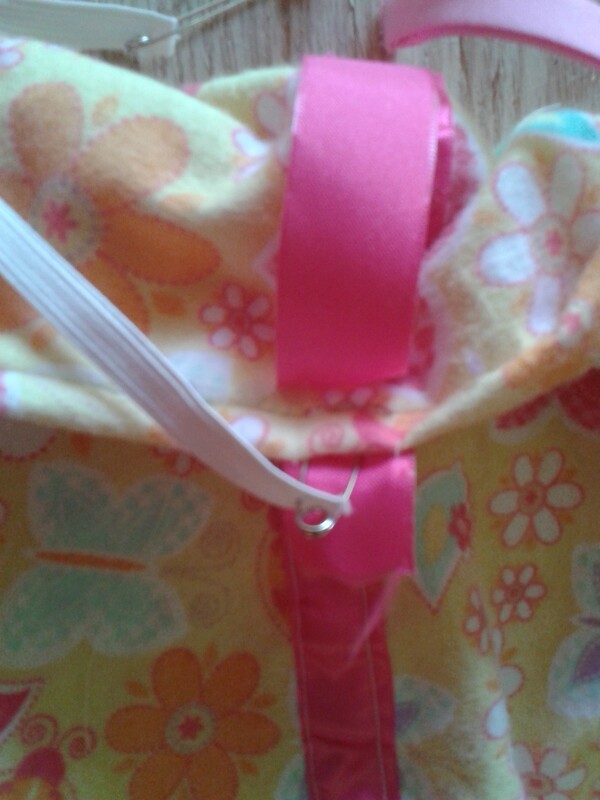 Placing in one the bias tape gives it a much more sturdy backing. 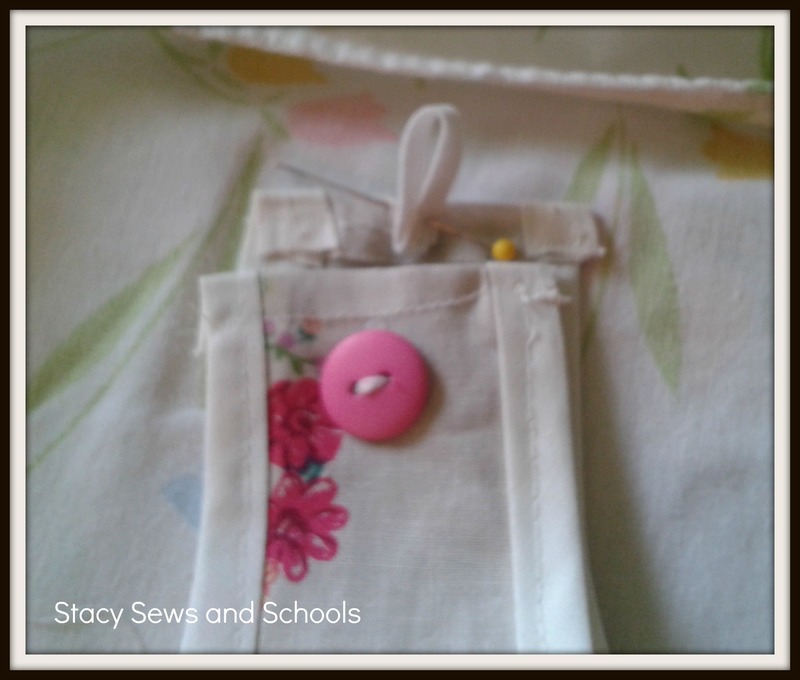 Sew your button. 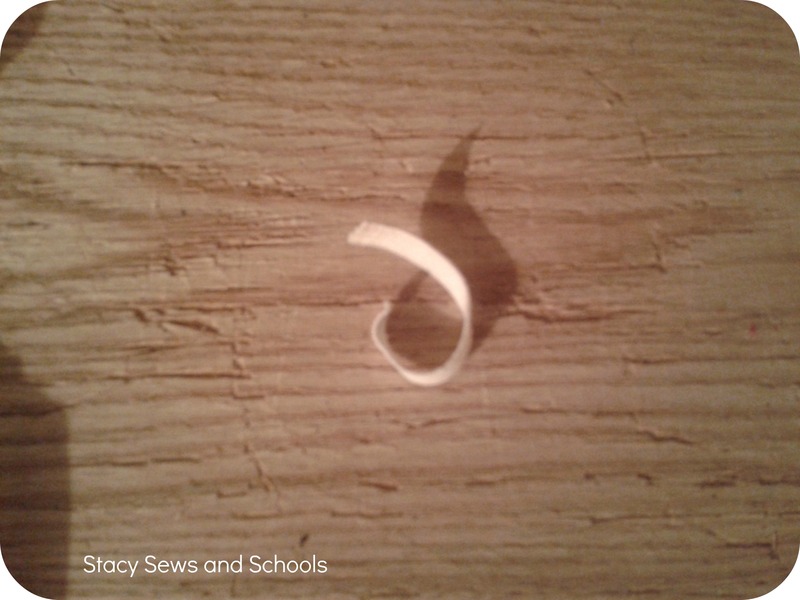 Cut a piece of 1/4″ elastic. The measurement will depend on the size of your button. It will need to slip over the button and remain in place. 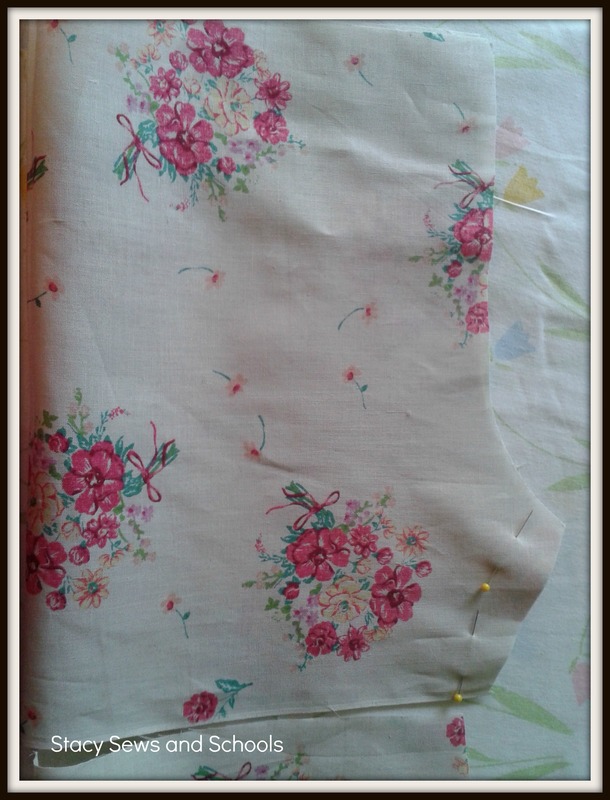 Next, sew the 2 ends of the elastic to the back bodice opposite the side with the button. This is what it will look like when the loop is over the button. 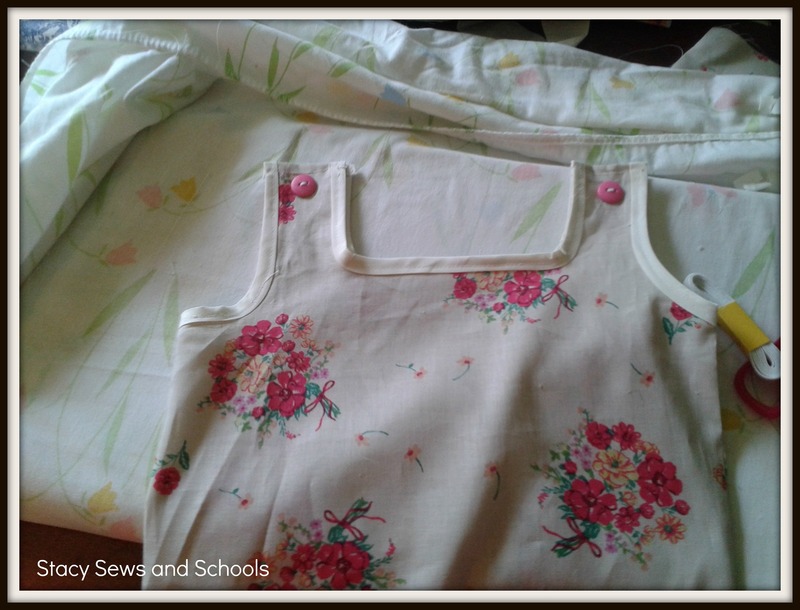 Now, turn your bodice inside out, slip it over the shorts and pin. 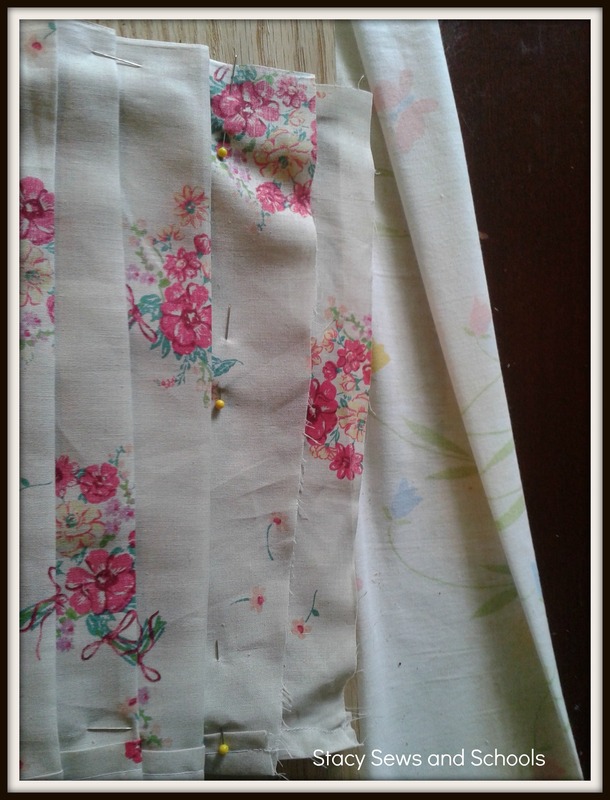 I pinned some pleats in the bottom of the bodice along the lines of the top pleats. 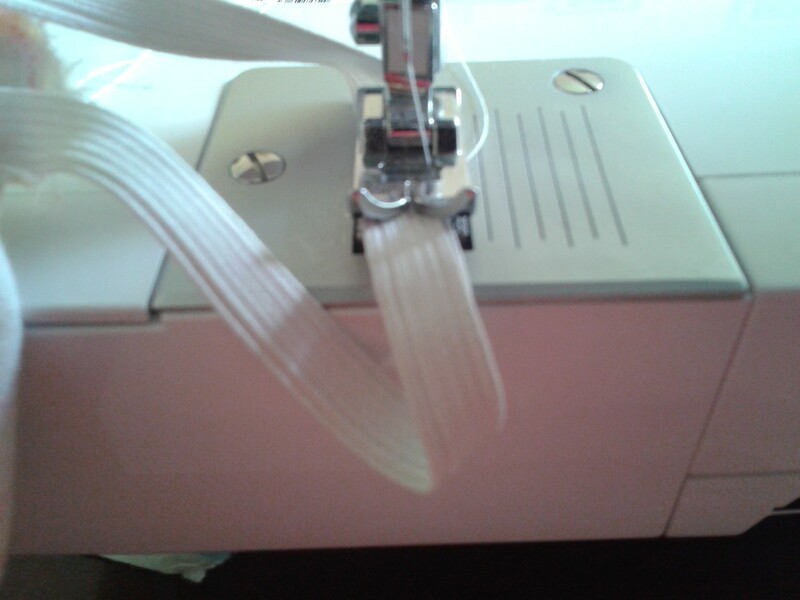 Sew your seam and press!! 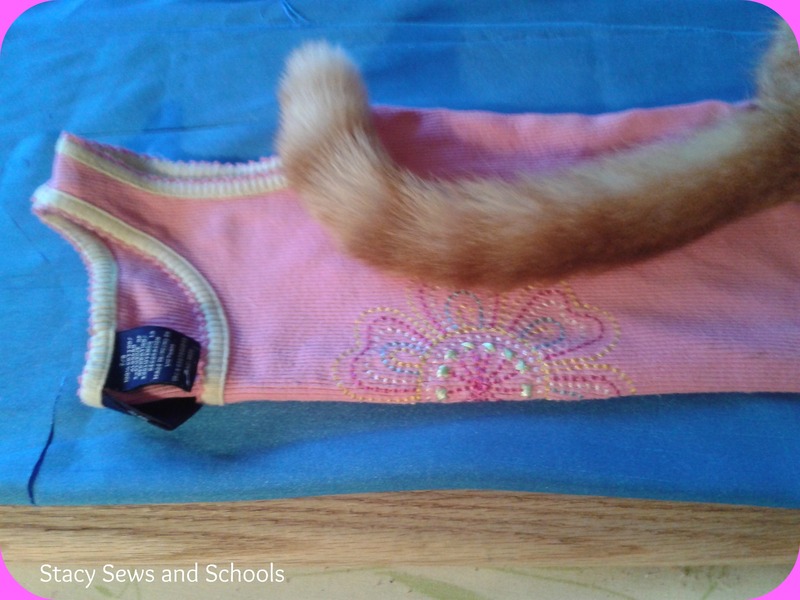 Turn it right side out and pin the bias tape around the leg bottoms. 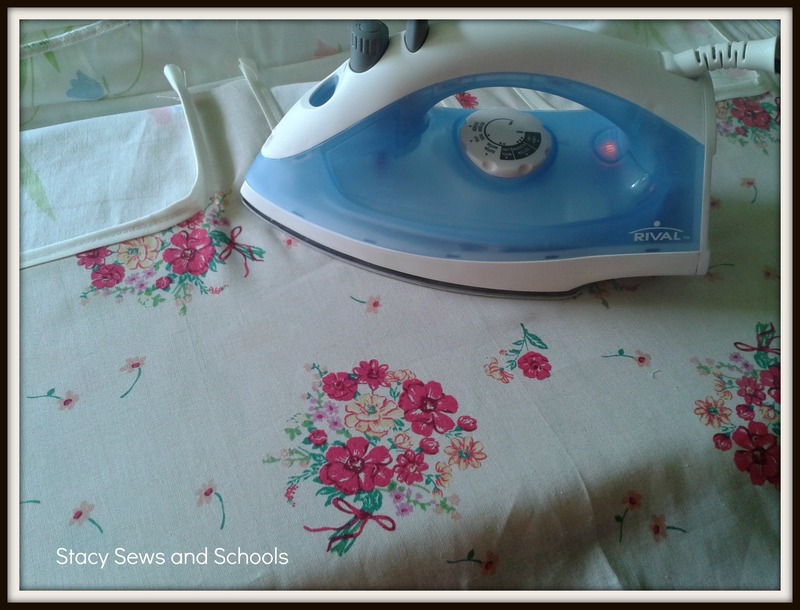 Sew it on and press! You could certainly leave it here if you want to. But if you want to keep going………. 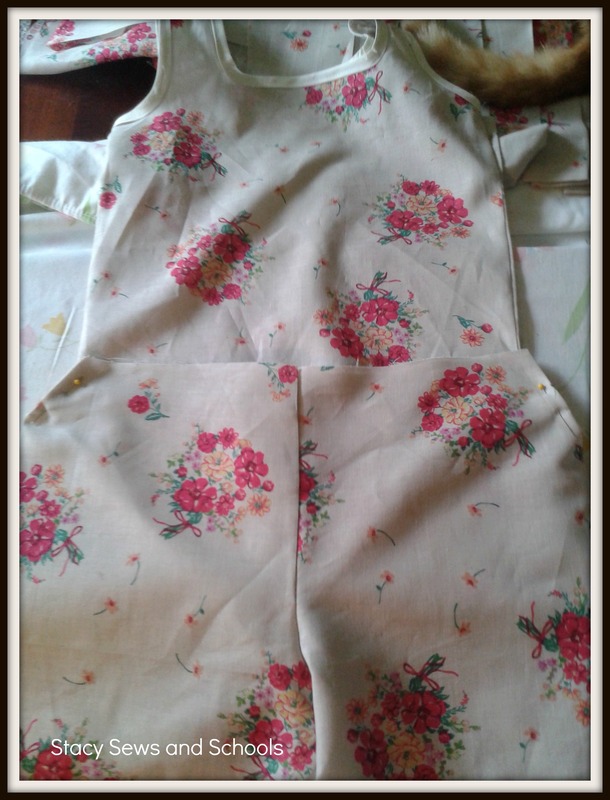 Now, take your collar pieces and pin them together. 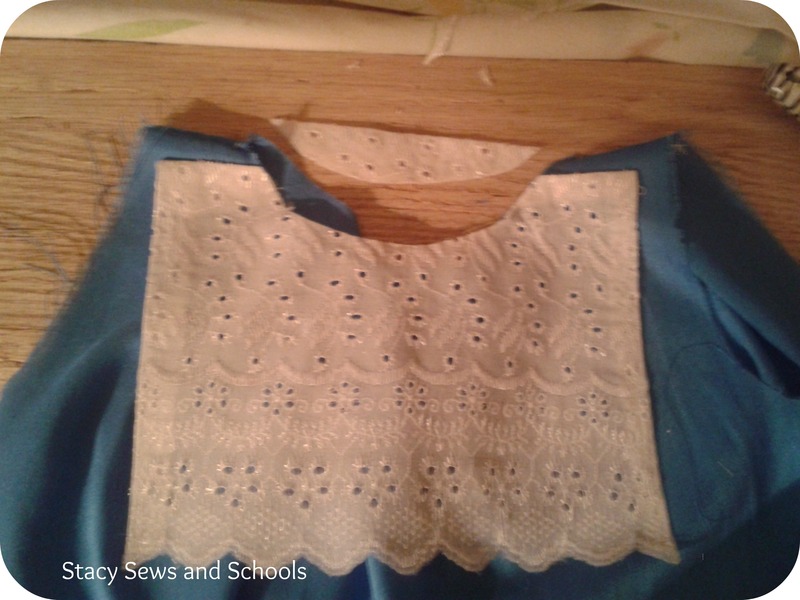 Sew very slowly and carefully along the scalloped side, leaving the straight side open. 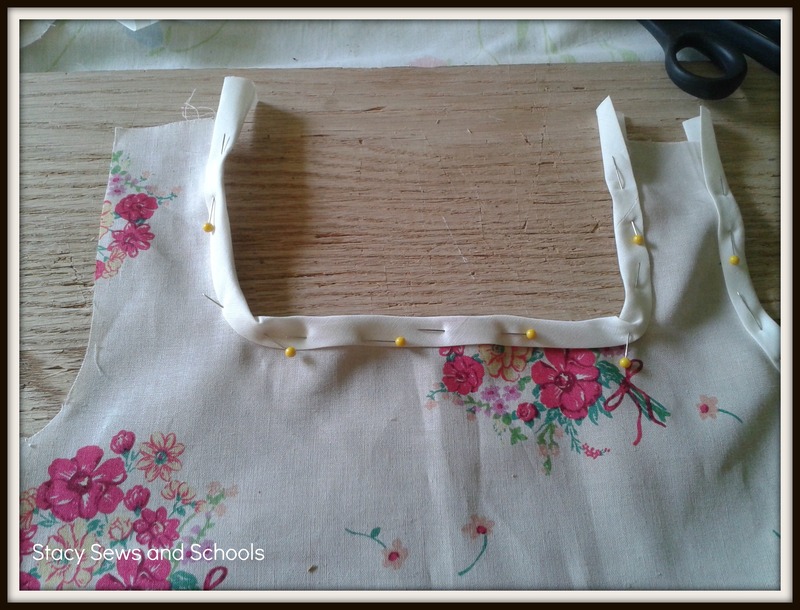 Trim the seams and clip very carefully at the curves. Turn right side out, making sure to poke all the little curves out and press. 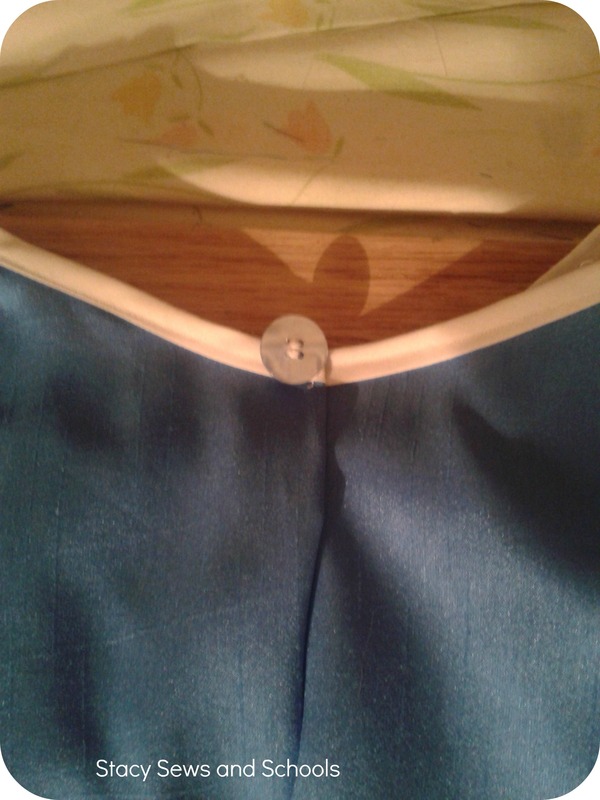 Pin your collar where you would like it to sit, wrapping the straight edge over and under the neckline. 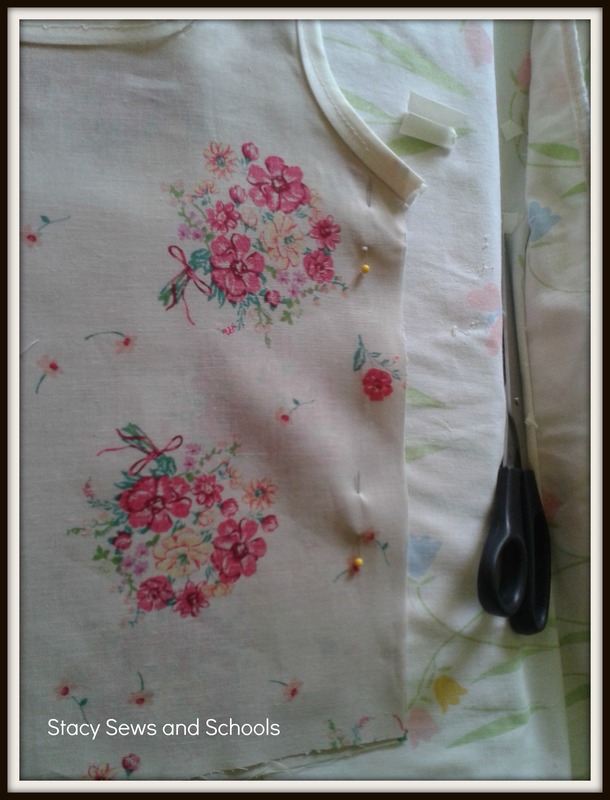 Sew it in place and press! 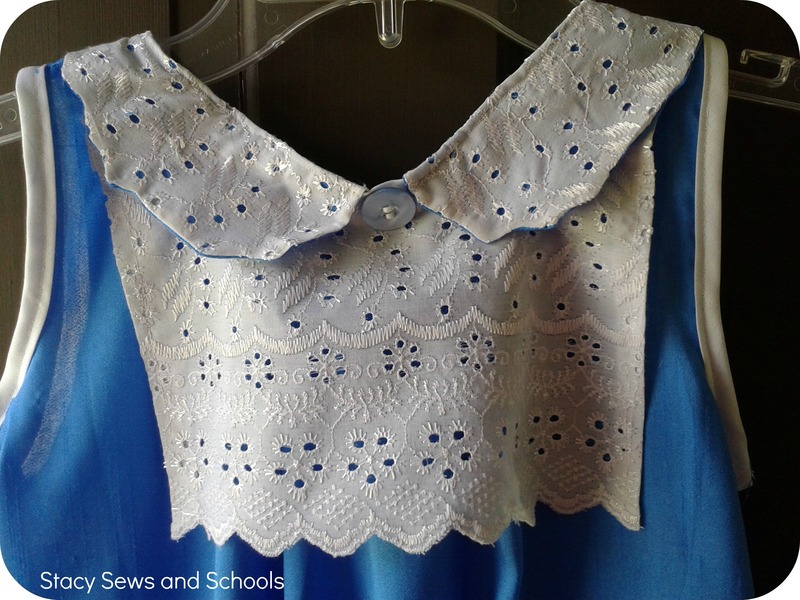 Take your other button and sew it into the middle of the 2 collar pieces. 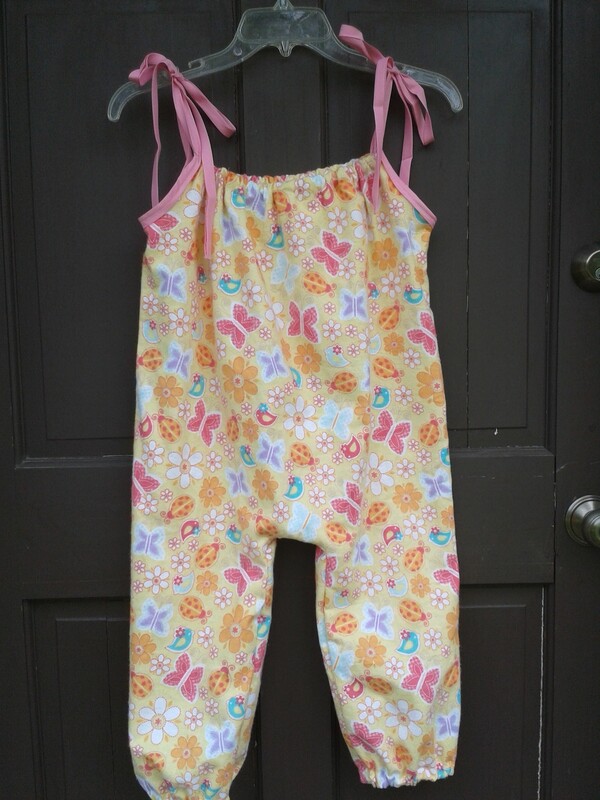 This is what it might look like with the elastic waist. Like always, let me know what you think. Was this easy to follow? If you make it I would LOOOOOOVE to see it!!! 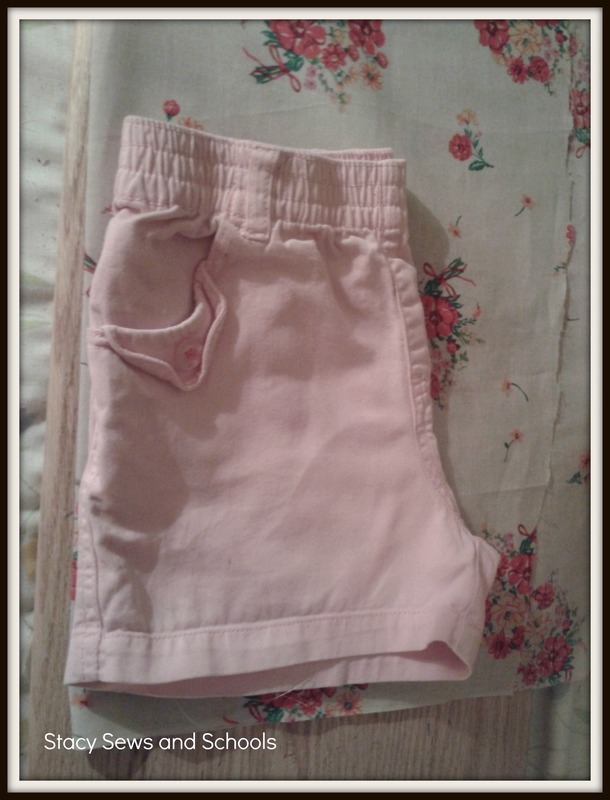 A pair of your child’s shorts to use as a guide. Now get ready ’cause this is a long one with LOTS of pictures. 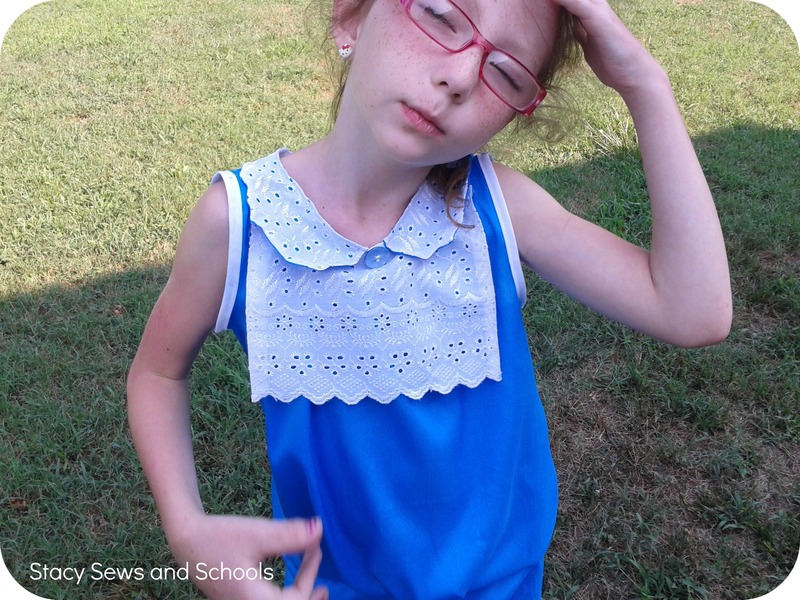 Measure your child’s chest and then shoulder to just below the hip. 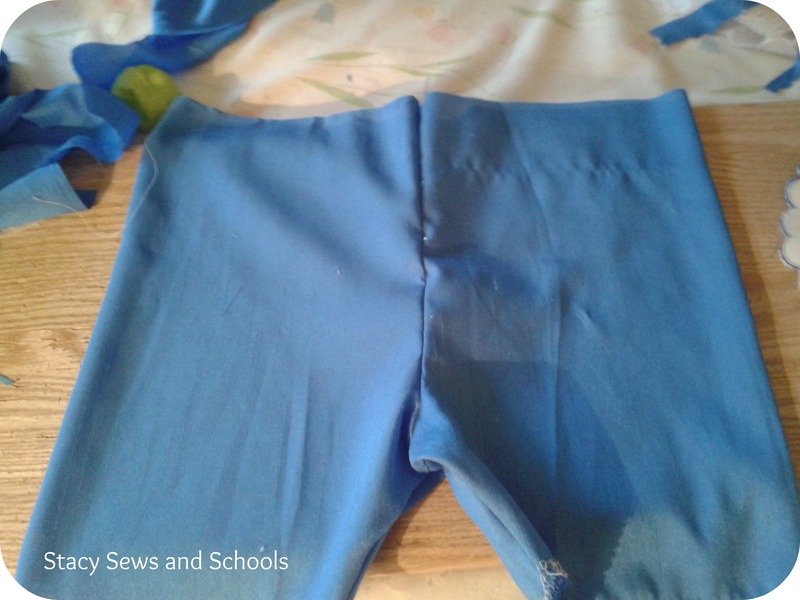 Measure from just below the hip to where you want the skirt part to fall -2″. 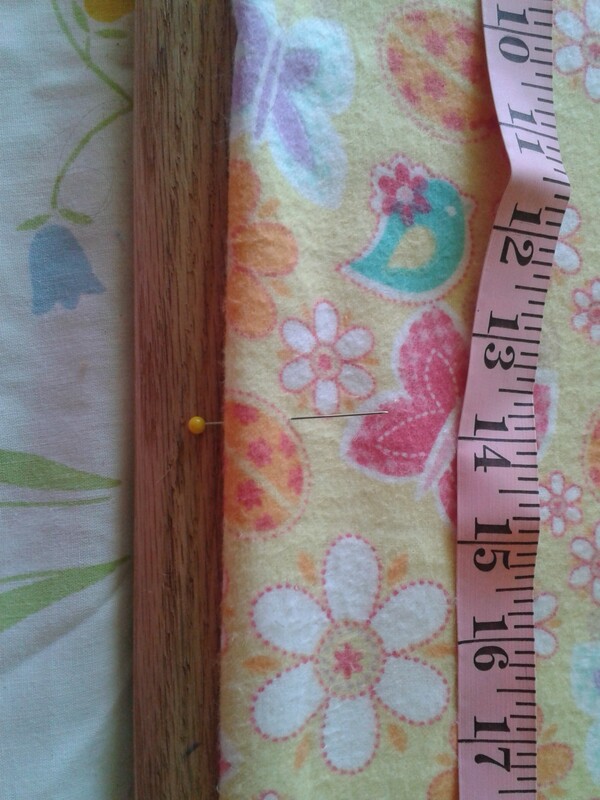 Measure the shoulder to where you want the bottom of the arm hole to be. 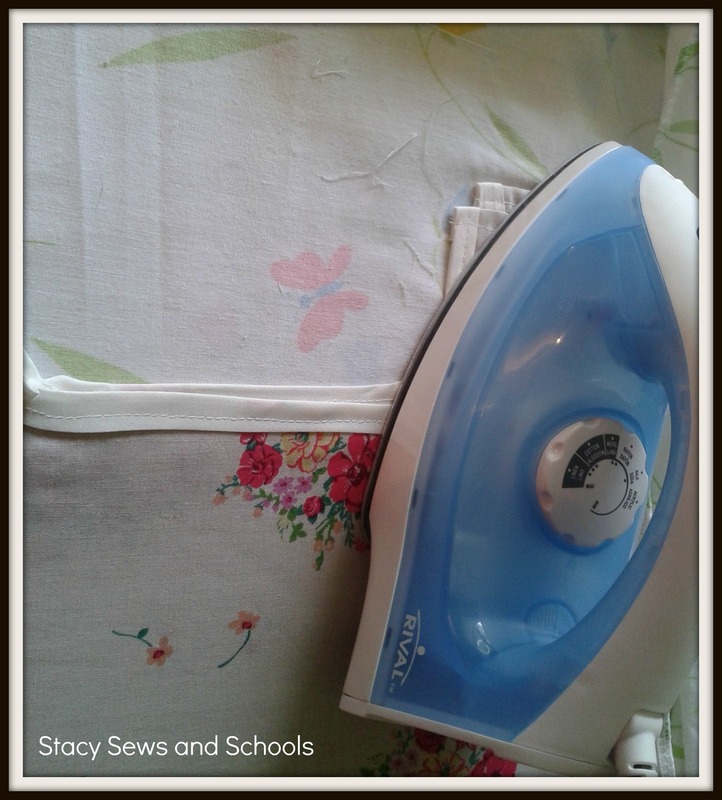 Fold your fabric and cut it the length you need the top to be. 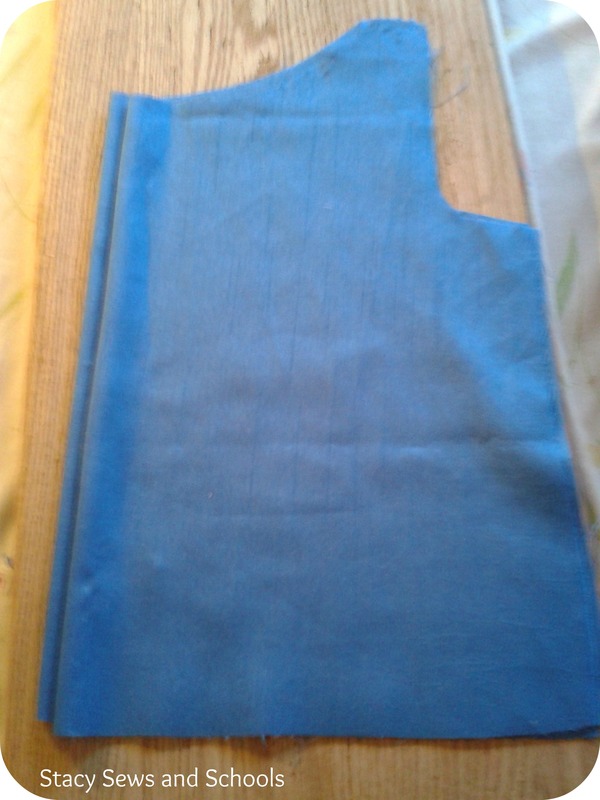 Then cut the width on the fold. 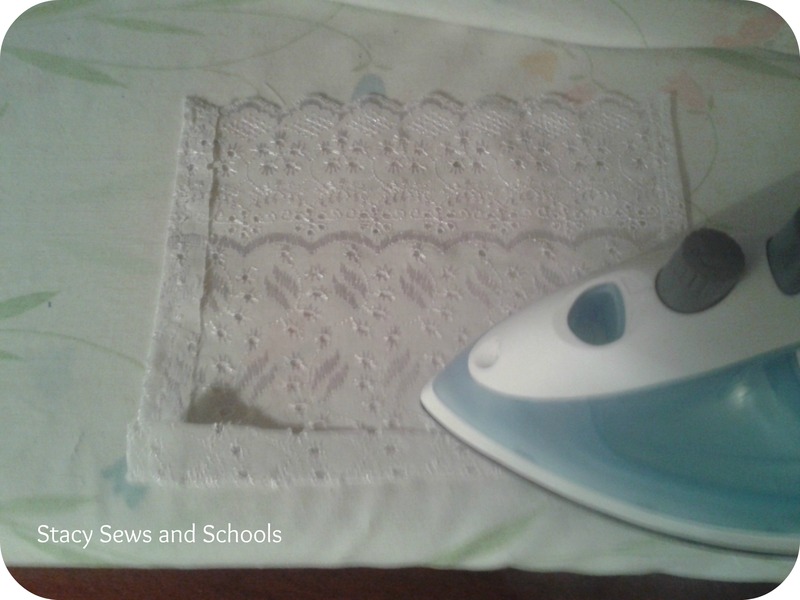 (You will be cutting 1/2 of the width of the chest + 2″. While still folded, cut out your arm hole. 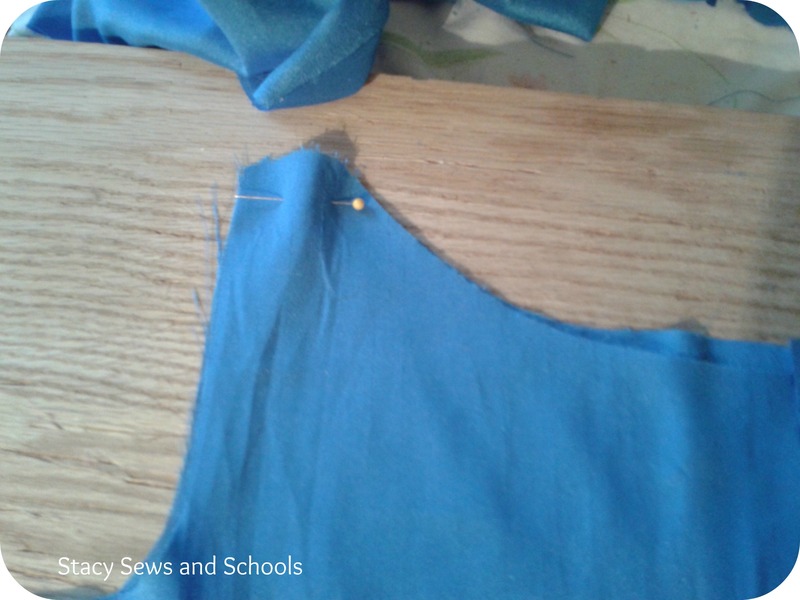 While still folded, cut out your neckline in a square shape. 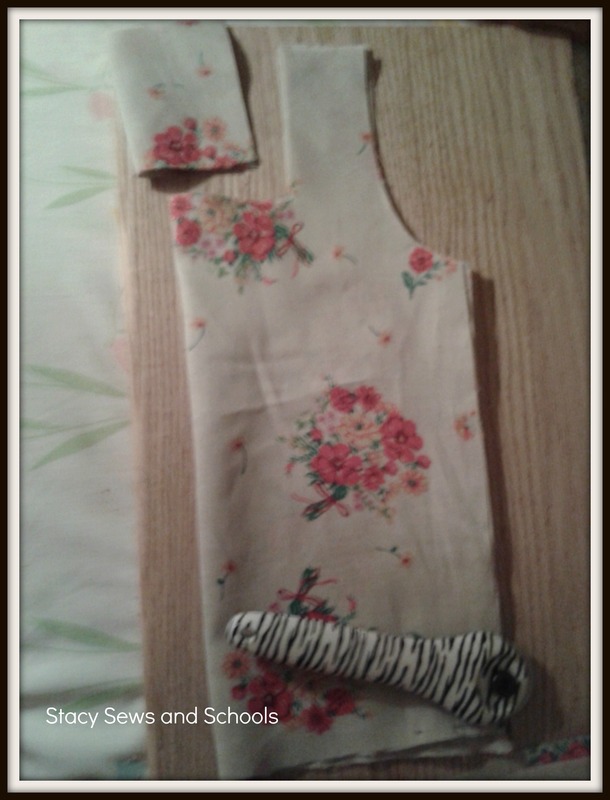 Open the bias tape and pin around the arm holes and neckline, skipping the tops of the straps. 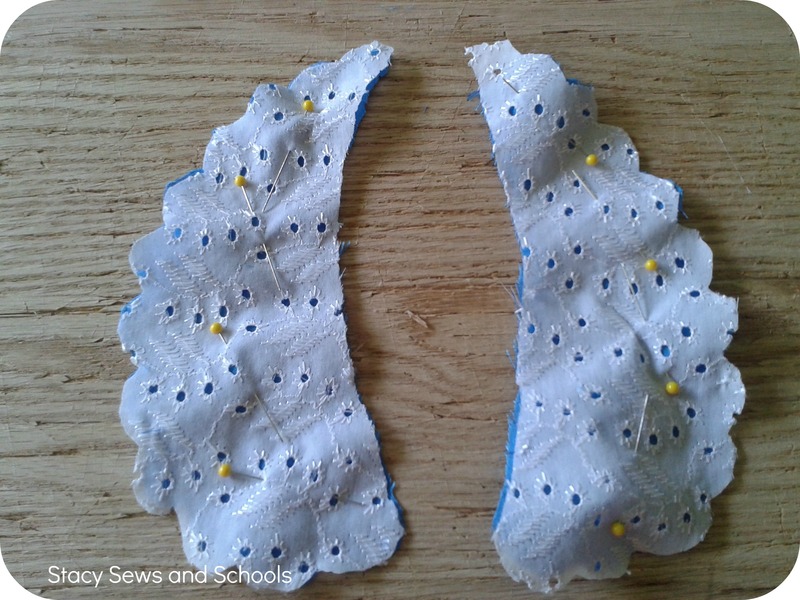 Sew the bias tape around the arm holes and neckline. 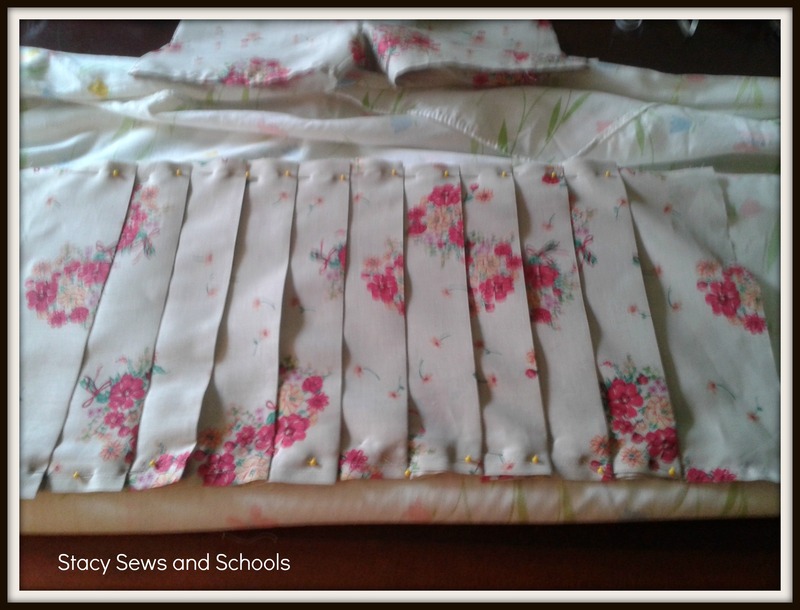 Pin over the tops of the straps and sew. Press the tops of the straps. 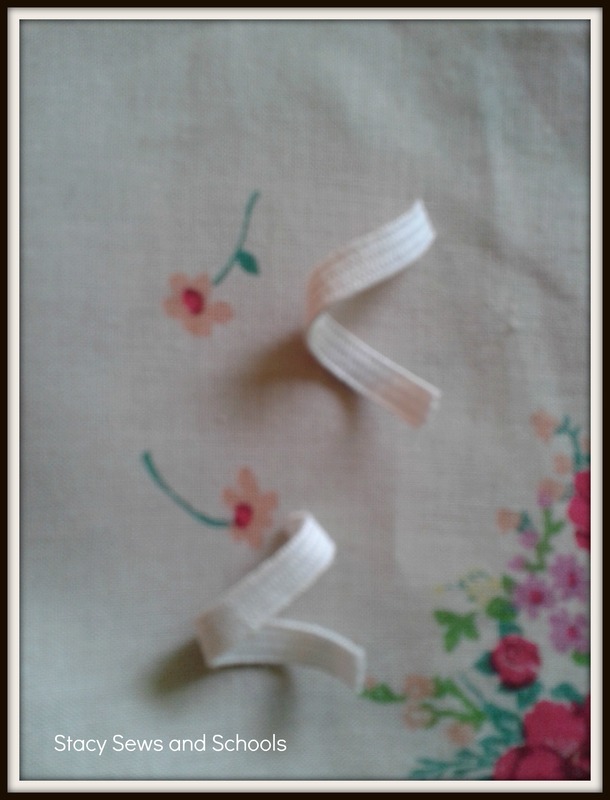 Cut 2 pieces of 1/4″ elastic either 1 1/2 to 2″ in length depending on the size of your buttons. 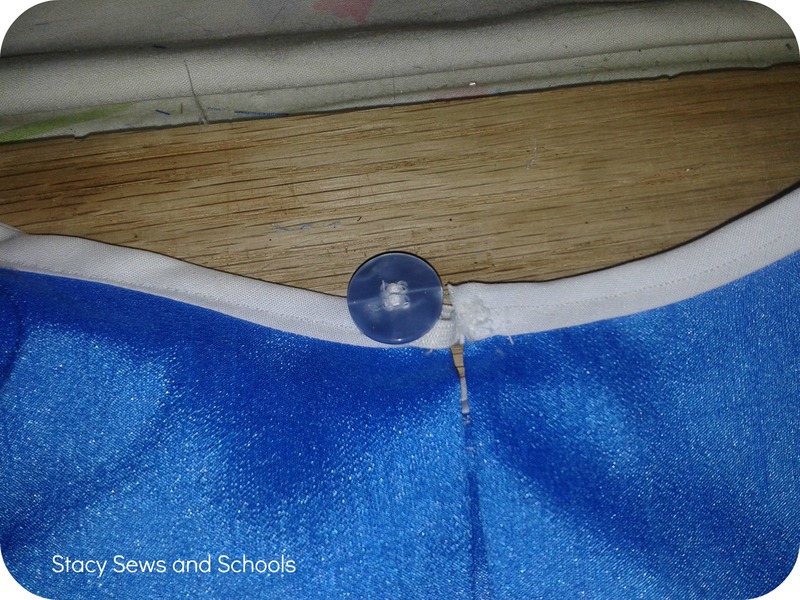 Pin and sew your elastic in place. Now, set this piece aside. 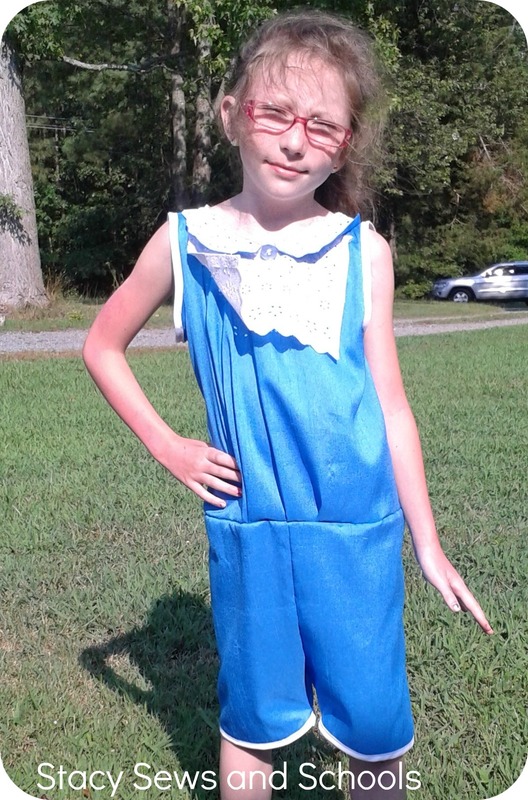 And grab your child’s shorts. Flip your newly cut leg over and use it to cut the other leg. 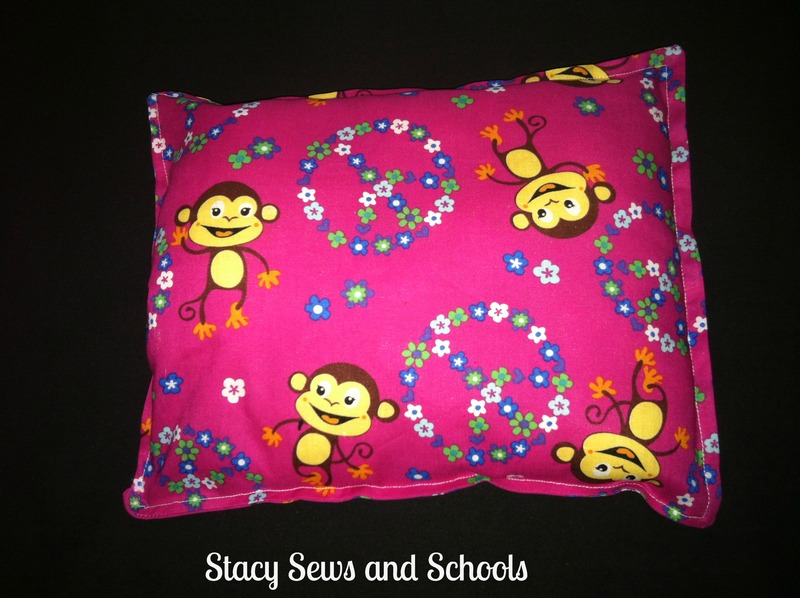 Make sure to flip if you have a right and wrong side or a particular pattern. Turn the legs inside out. 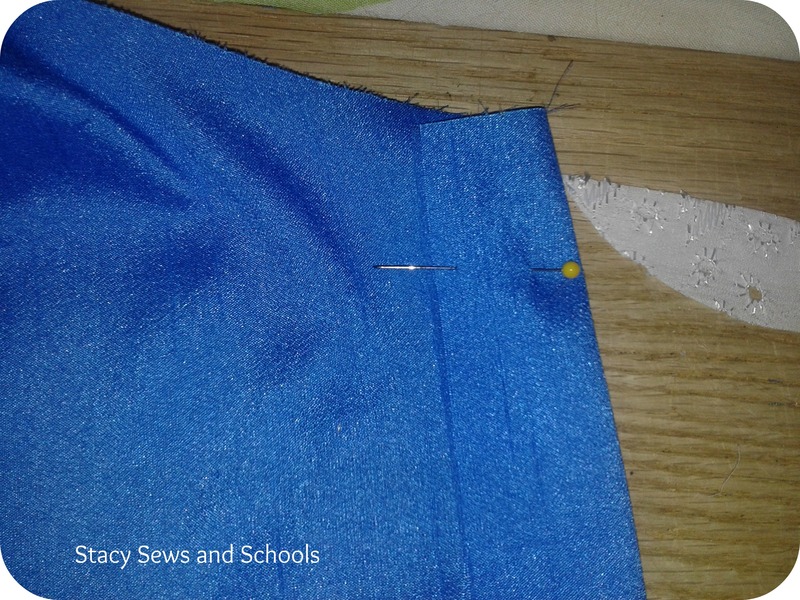 Pin from the bottom of the leg up to the beginning of the crotch and sew the seam. Do this to both legs. 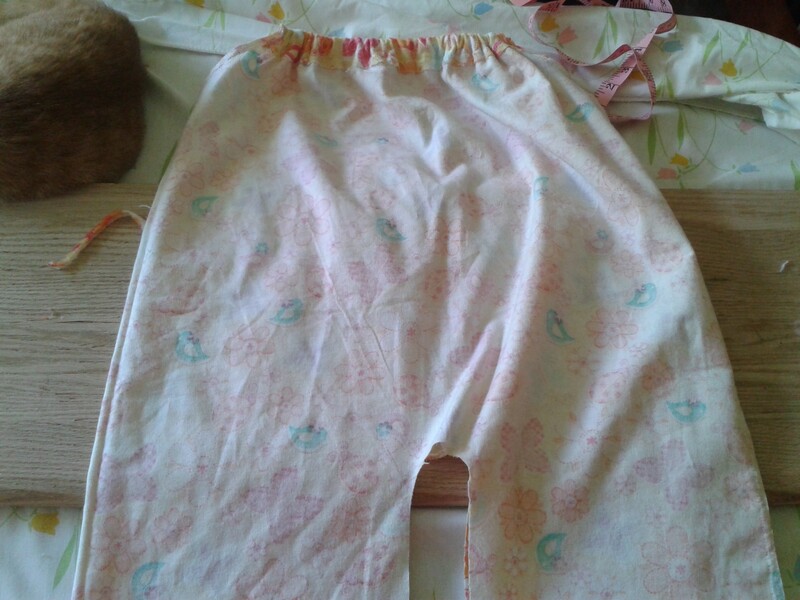 Turn the shorts wrong side out and turn up less than 1/2 and inch. Press and pin. 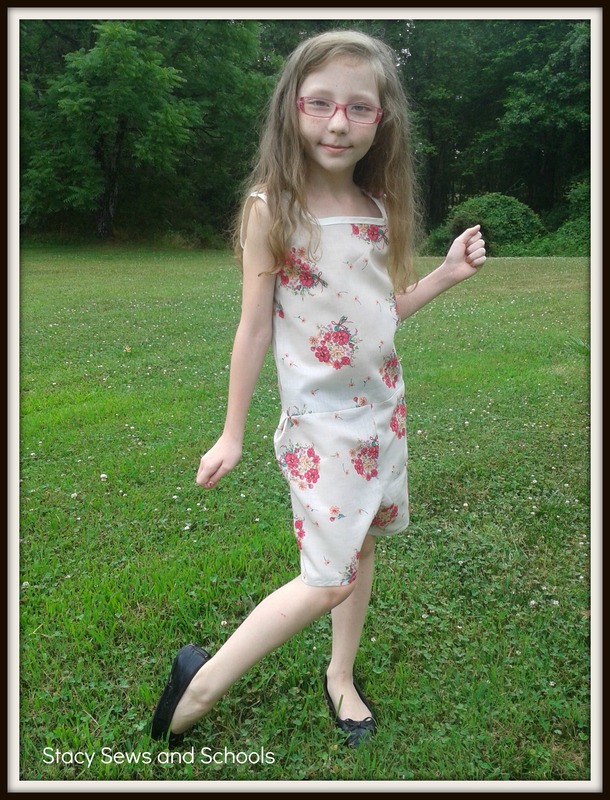 The sew your hem. 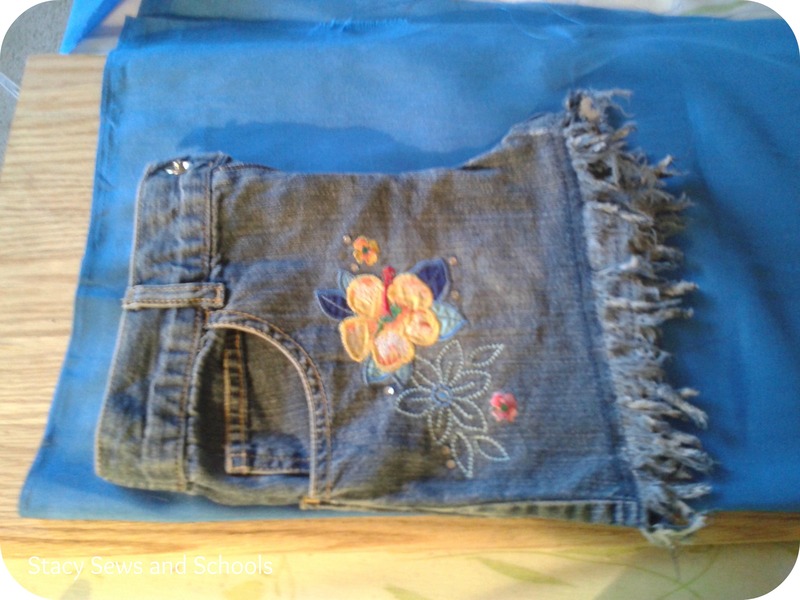 Turn your shorts right side out and measure them up against your top. If needed take a little tuck in the sides like I have done there. Just pin the tuck for right now. Take your top and turn if wrong side out. 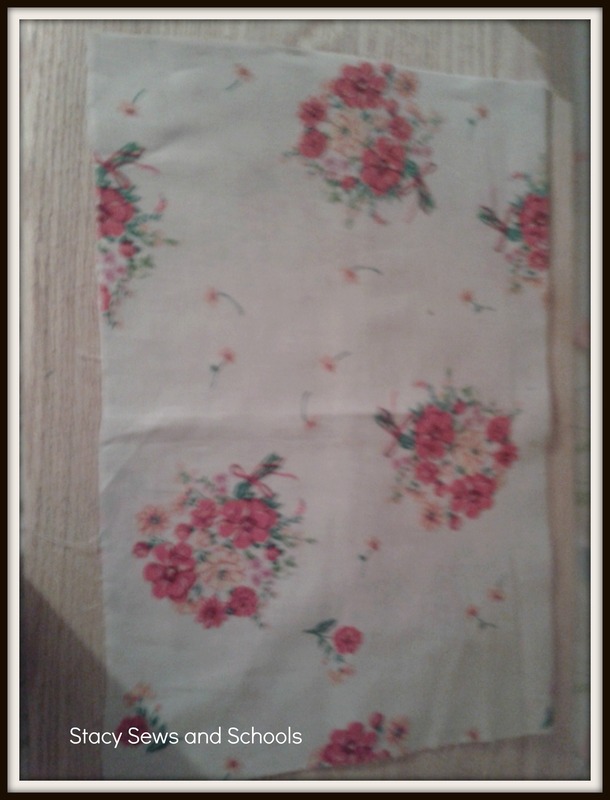 Slip it over the shorts with right sides together (the top will be point down to the bottom of the shorts) matching seams and pin it. 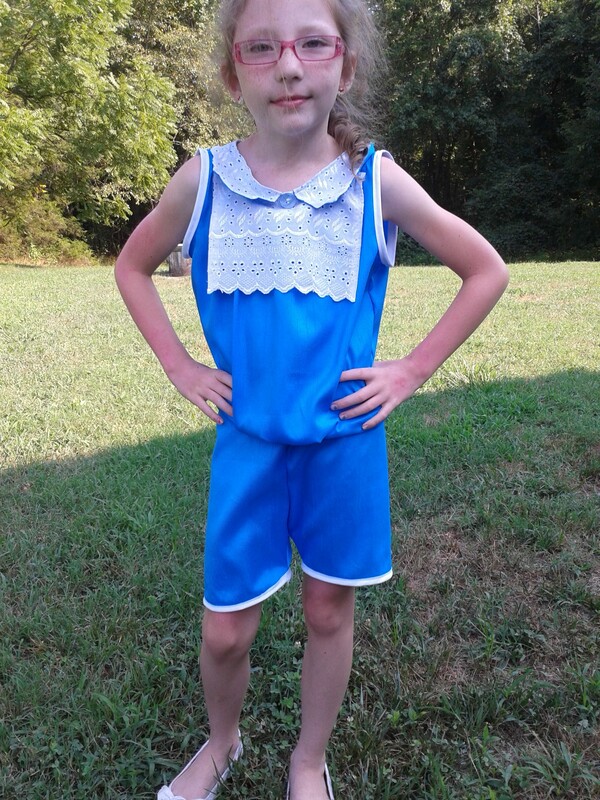 Then sew the top to the shorts. 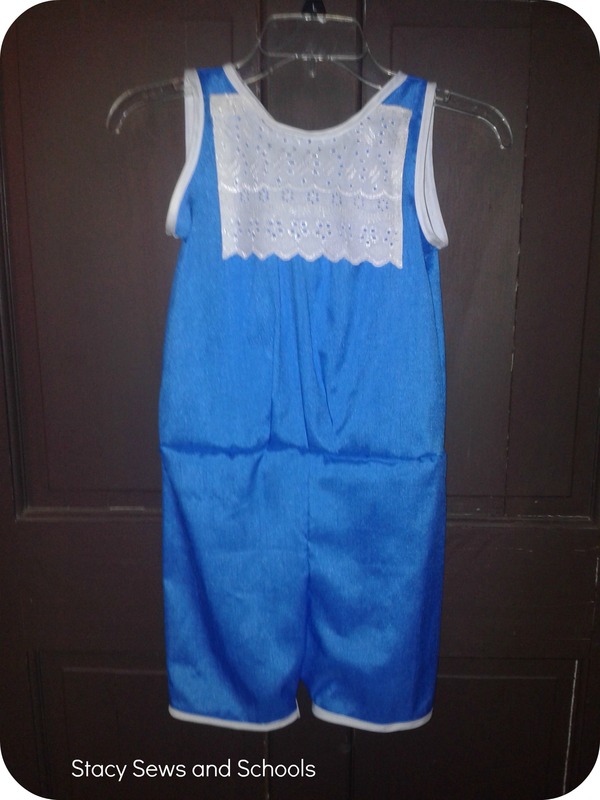 Now you can stop here and you will have a romper! If you want to change the romper into a skort-all (???) stay with me! 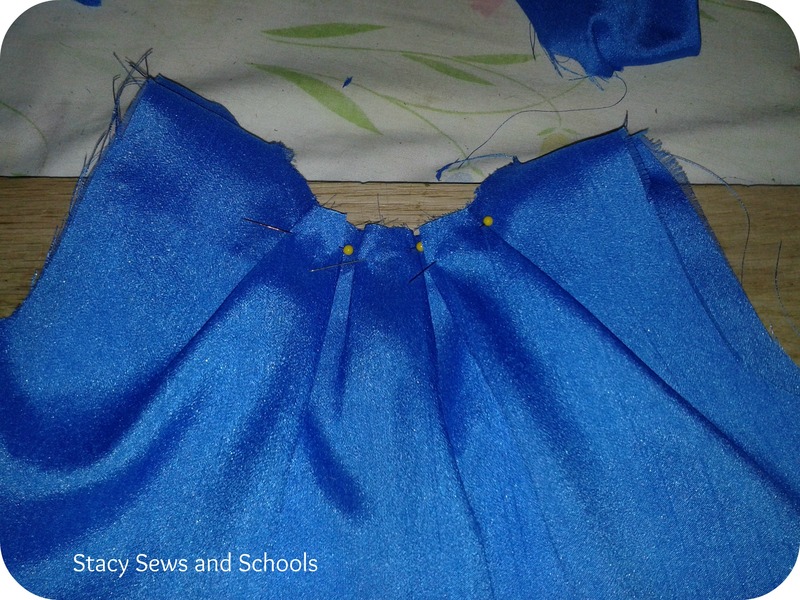 You will need 2 pieces of fabric 1 3/4 yards by however long you want the skirt part to be -2″. 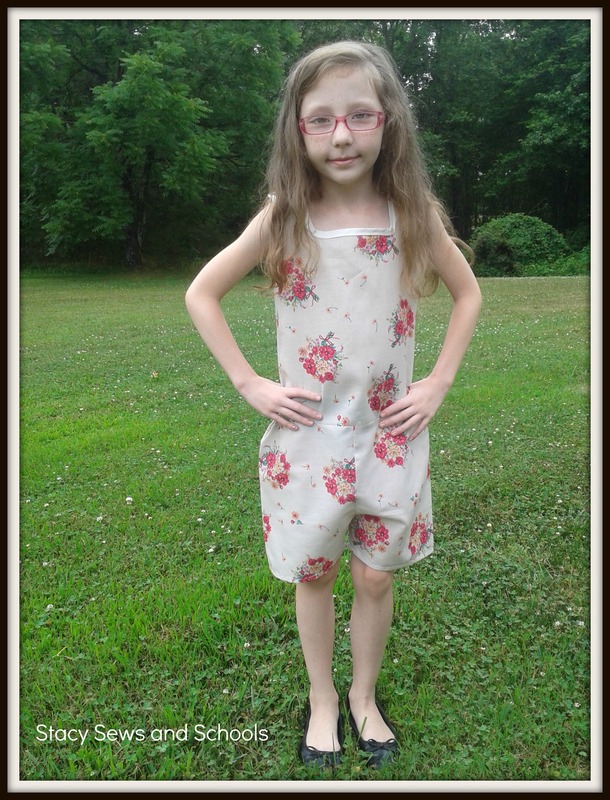 We are going to start with the hem, which I apparently forgot to fix the pics for…. 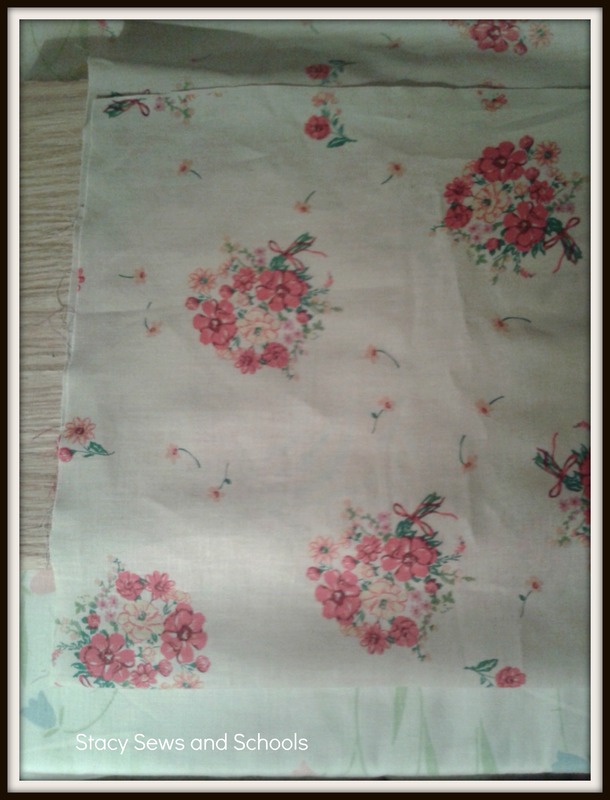 Anyway, to do the hem you are going to roll 1/2 ” and then roll again, pressing and pinning as you go. 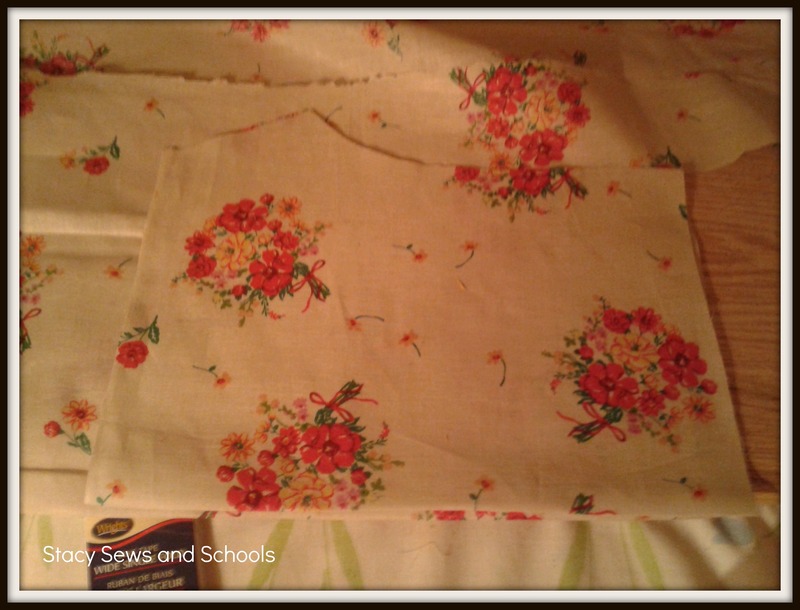 Then sew the hems. 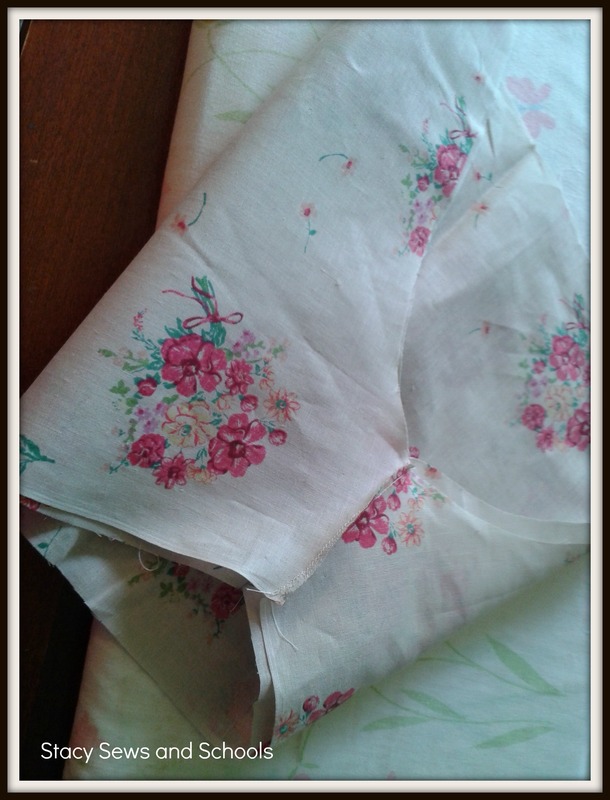 Now you are going to start folding, pressing and pinning all along the 1 3/4 yards. Fold, press, pin. Fold, press, pin. To both pieces. 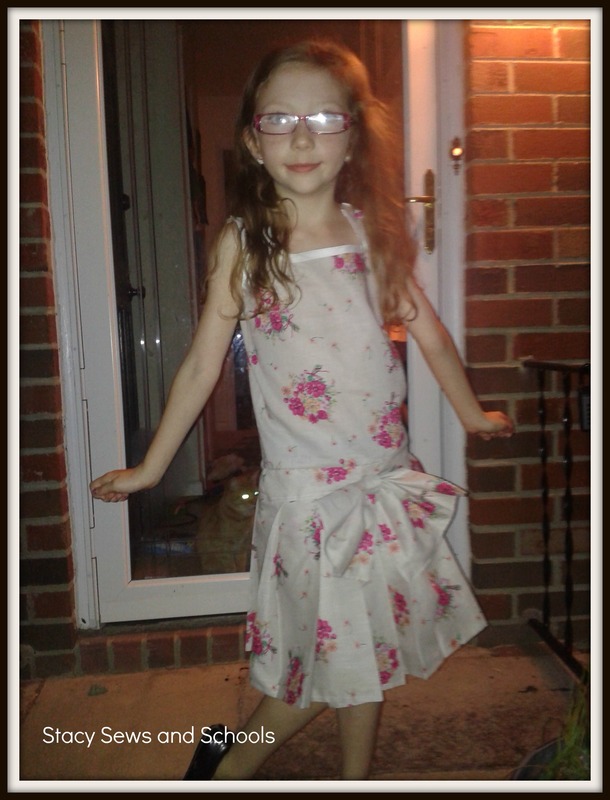 The size of the pleats is completely up to you and your personal preferences. 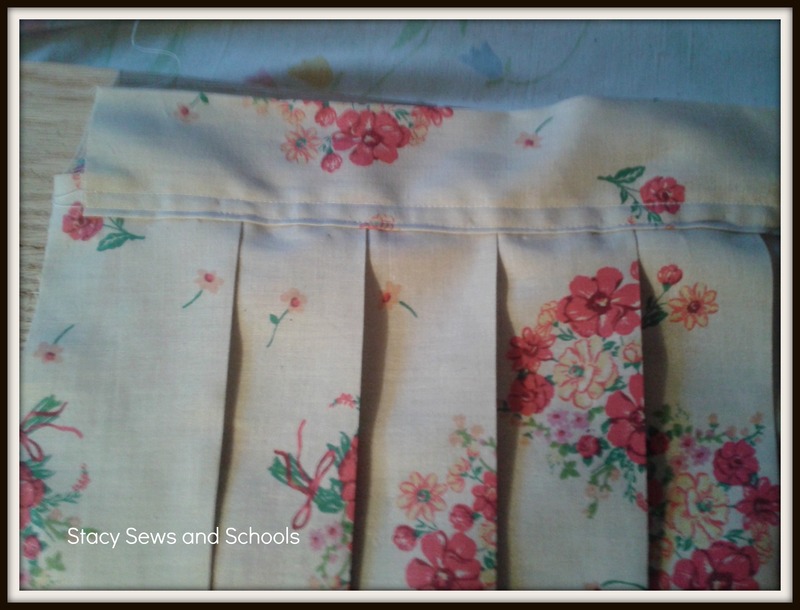 Be sure to pin the bottoms of the pleats, too. You will have 2 pieces that look like this. Now you are going to need a waist band. 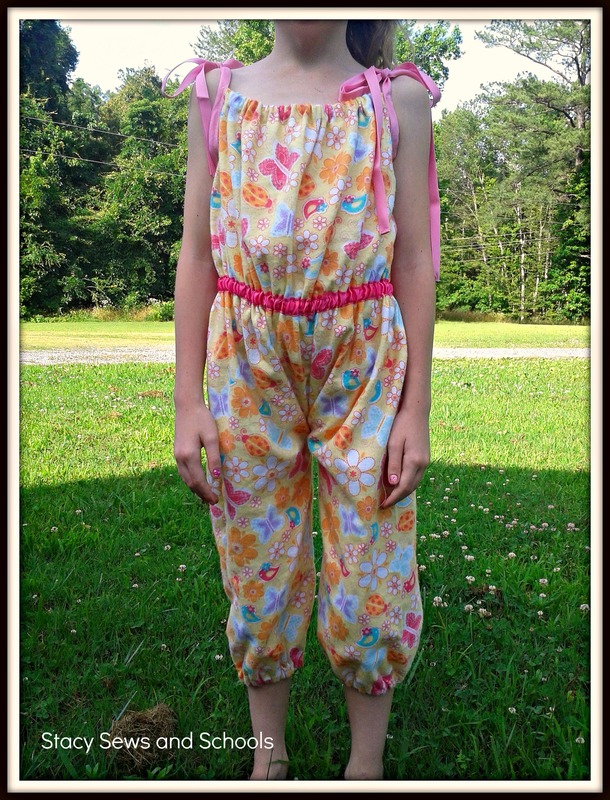 You are going to cut a strip 5″ in width and as long as the romper is around the waist +1″. 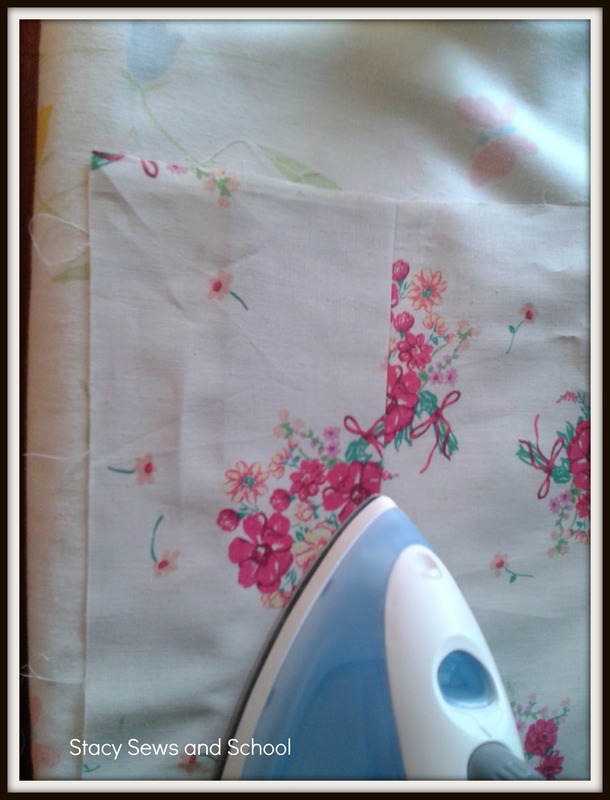 Fold the strip in half and press. Then turn 1 edge under and press. It should look like the picture above when you are done. 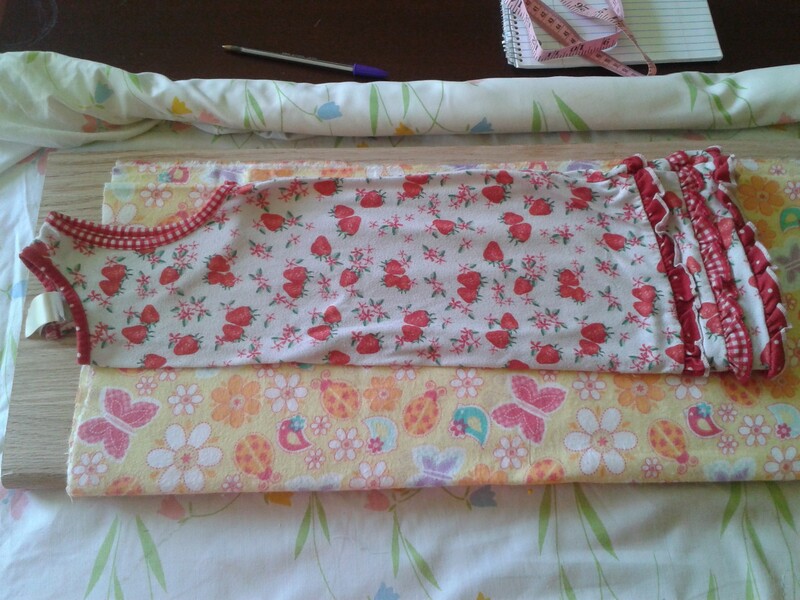 Fold in half lengthwise, giving you a middle, and press. 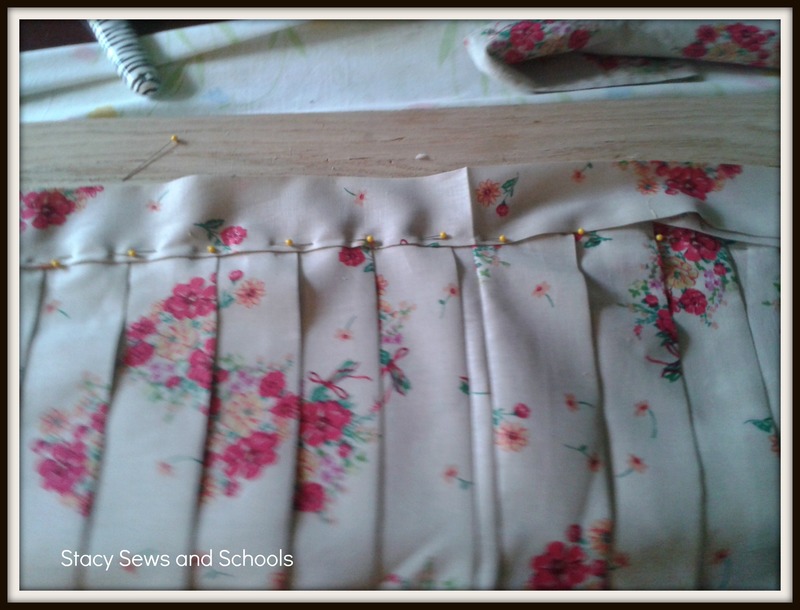 Place your 2 pleated pieces right side together and pin one side. 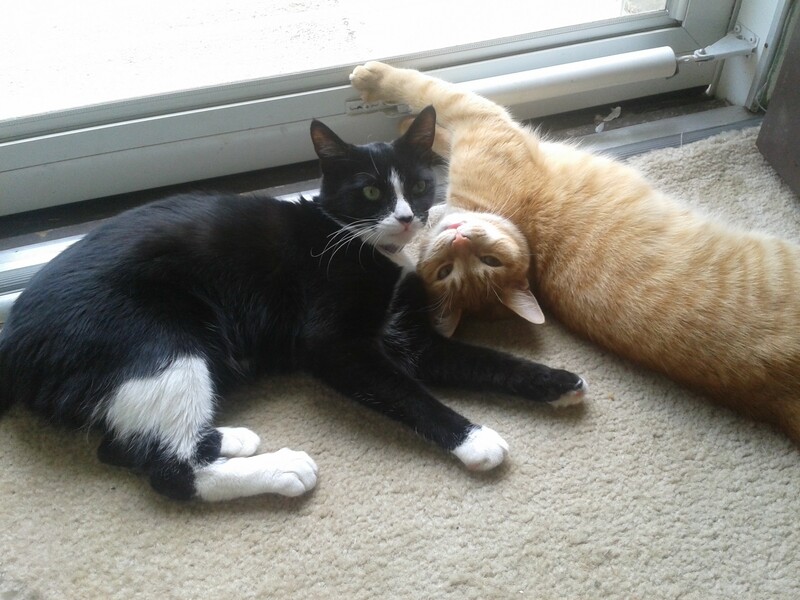 You may have some hang over and that is perfectly fine. 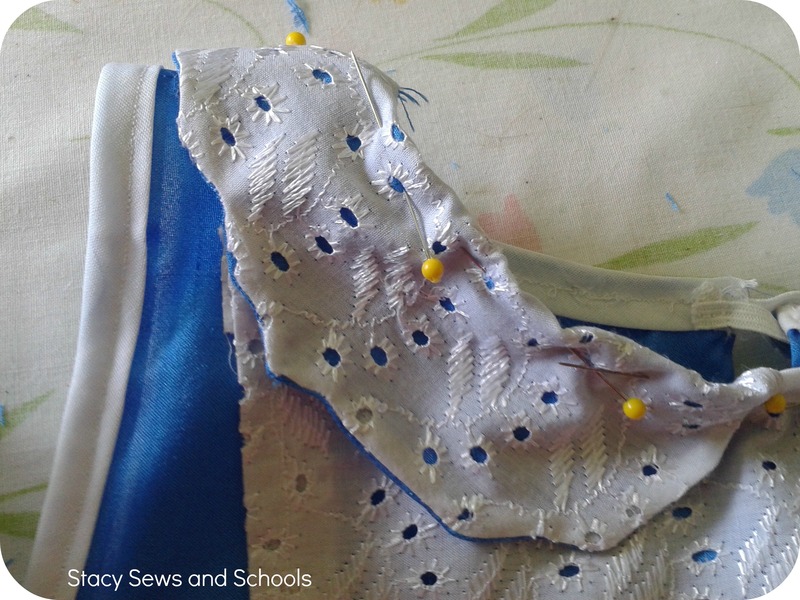 Sew the hem on one side. 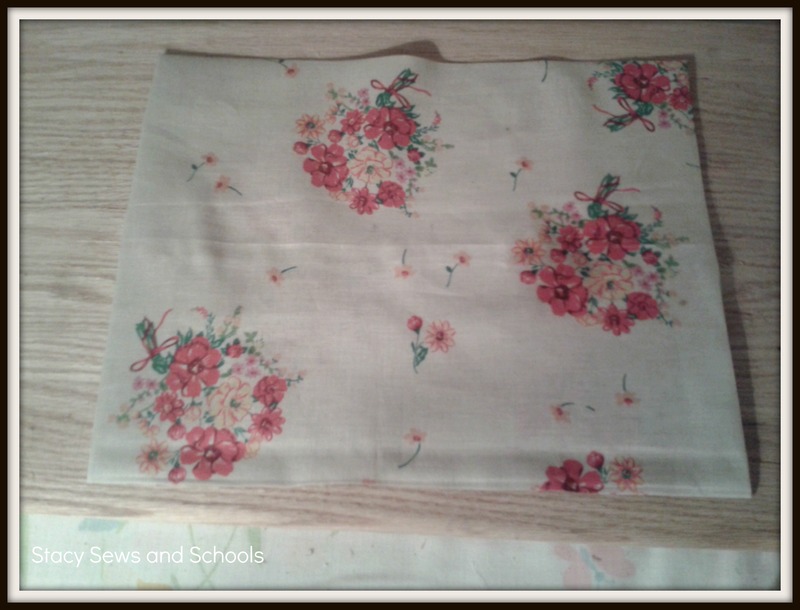 Match up the middle of the waistband with the seam. 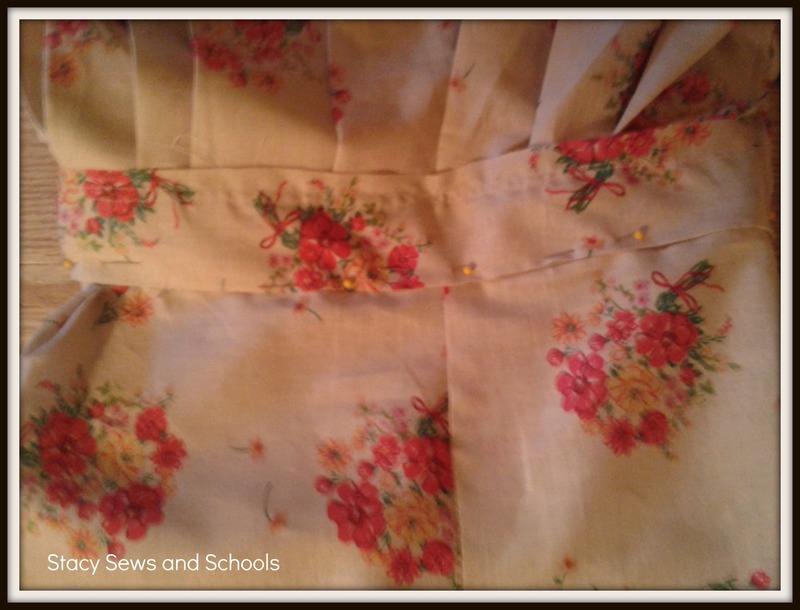 Open the waistband and pin on place with the folded edge on the outside. 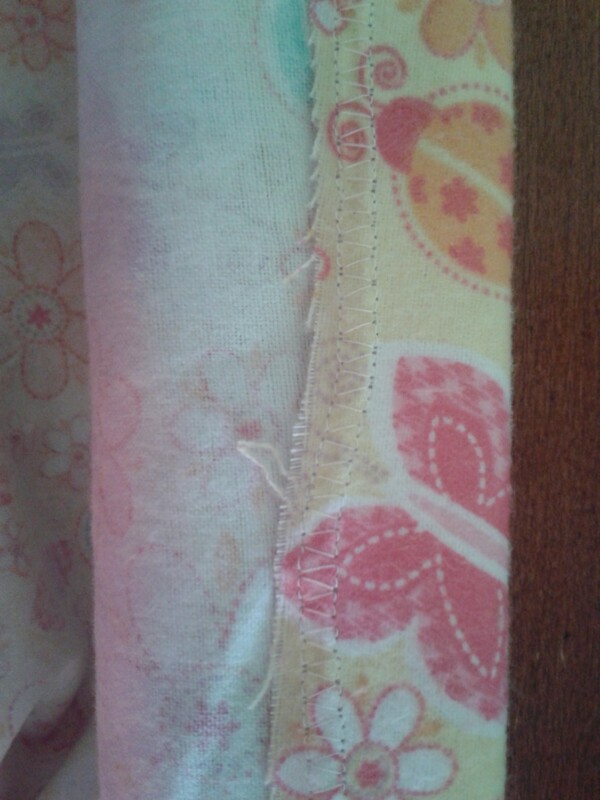 With right sides together, pin and sew the other seam. 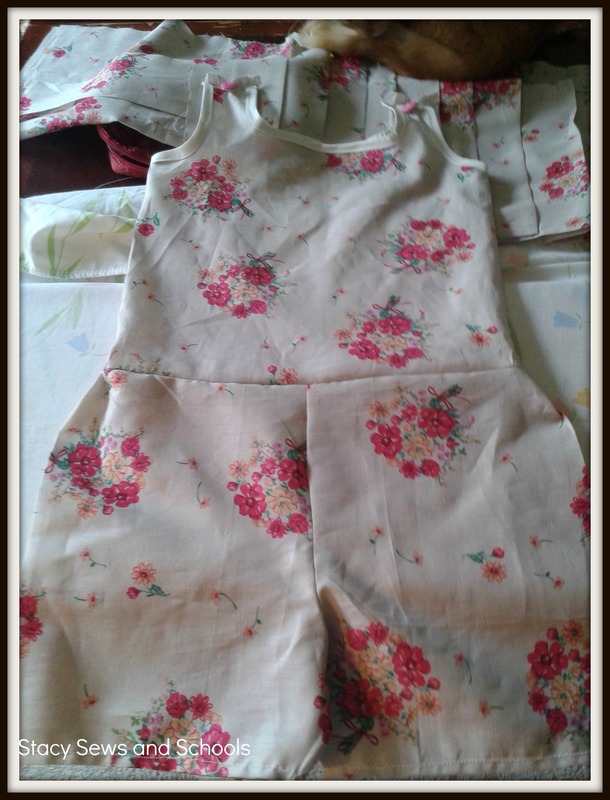 With right sides together, slip the skirt over the romper and pin the top of the waistband to the seam between the top and bottom of the romper. Now, cut a rectangle 10″ wide by 15″ long. 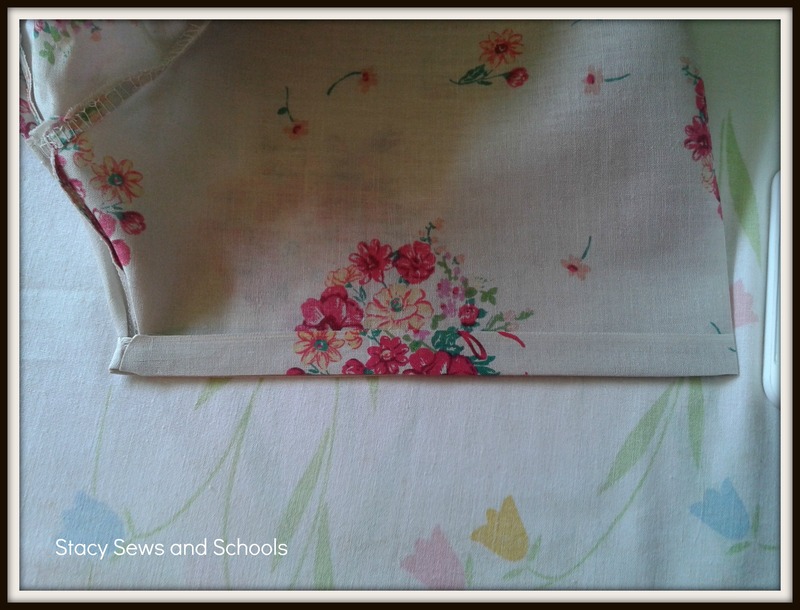 Fold in half with wrong side out and sew and seam along the 15″. 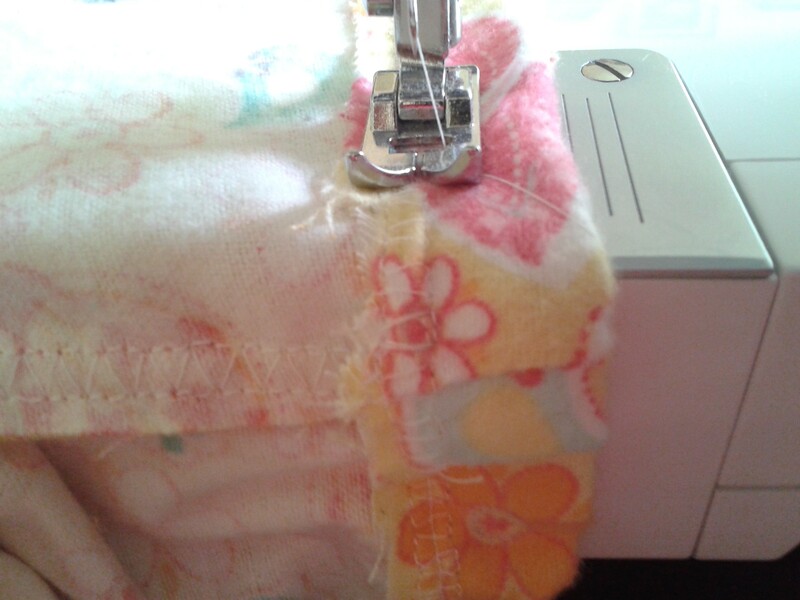 Open and press with the seam in the middle. Turn 1/2″ in on both ends and press. 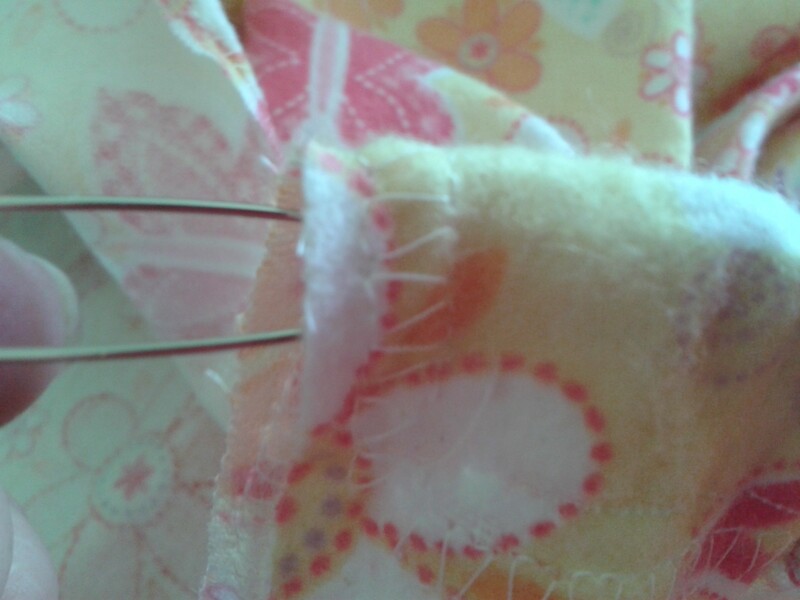 Then sew a very tiny seam right at the edges. 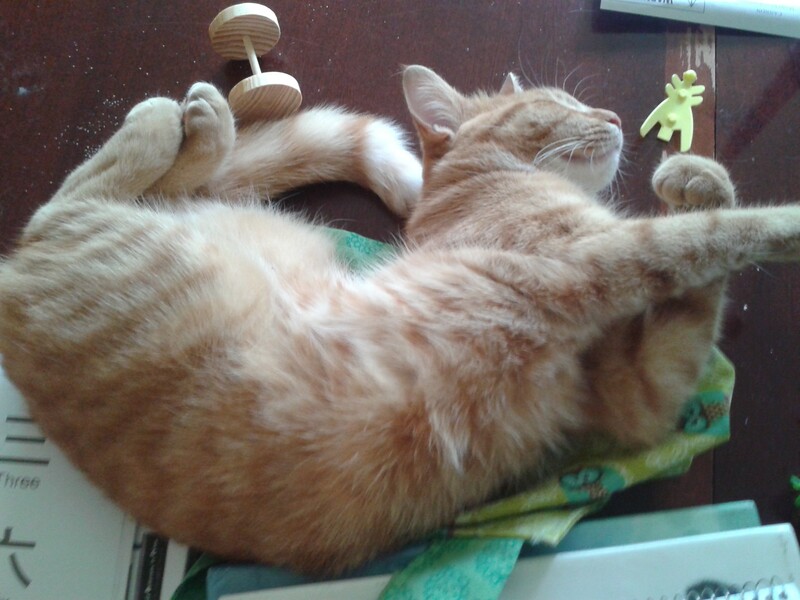 Fold in the middle and press. 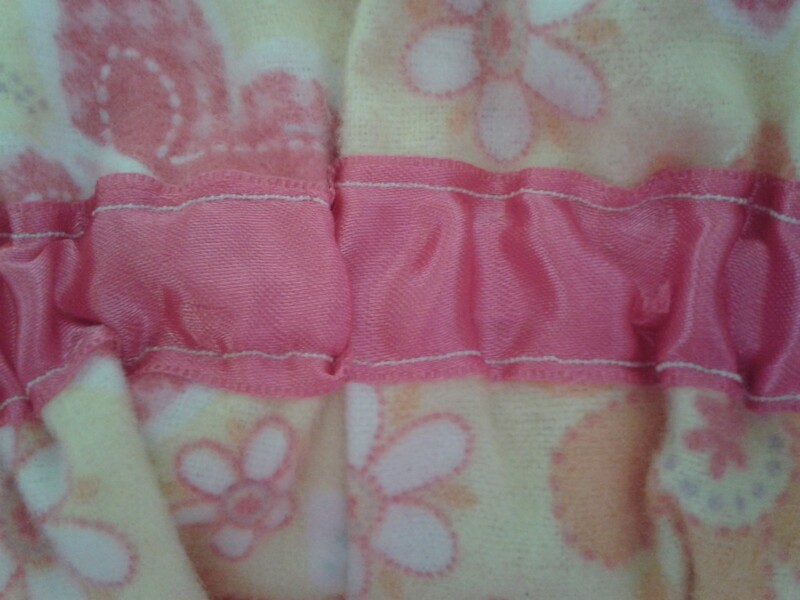 Open and sew a gathering stitch right down the middle. I apparently forgot the pics to this part. 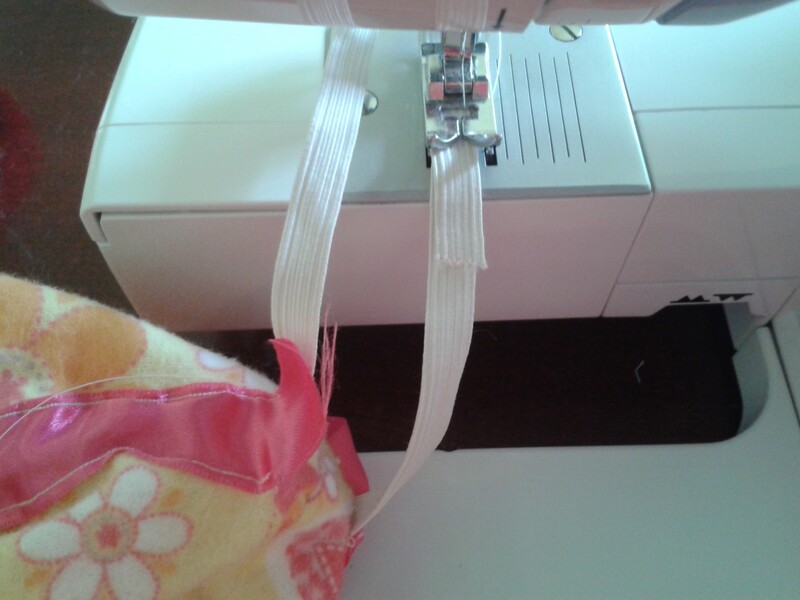 If you need to know how to sew a gathering stitch, this is how I do it on my machine, I set my stitch length to the longest setting and then I set the distance between stitches to the longest setting. 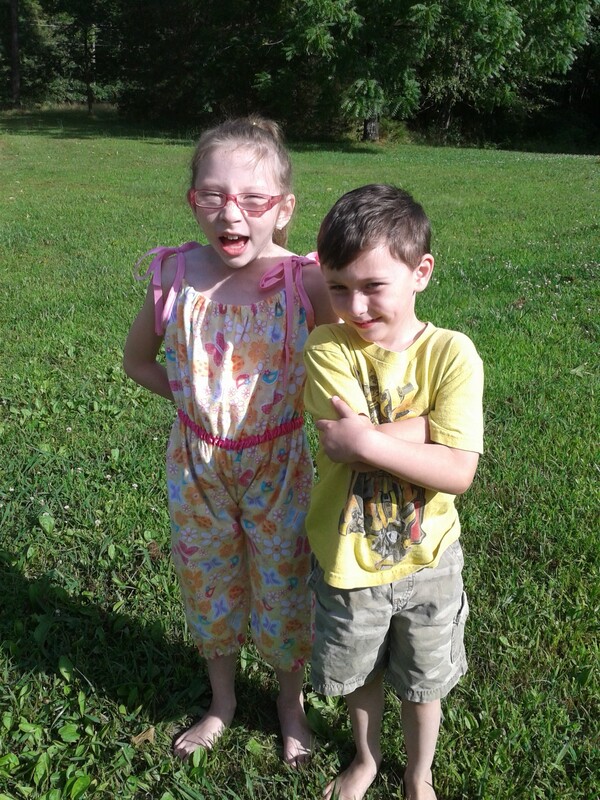 On my machine they are 4 and 9 respectively. 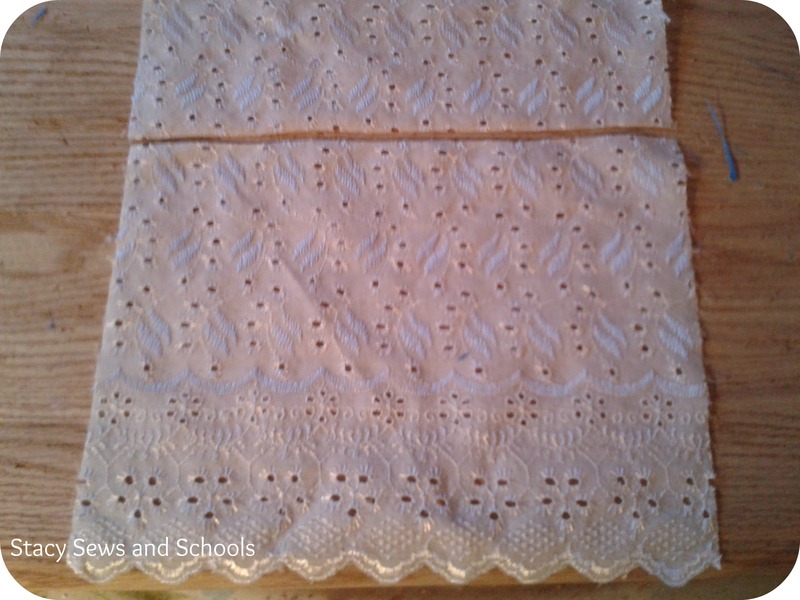 Now, cut a piece of fabric about 5″ long by 3″ wide. 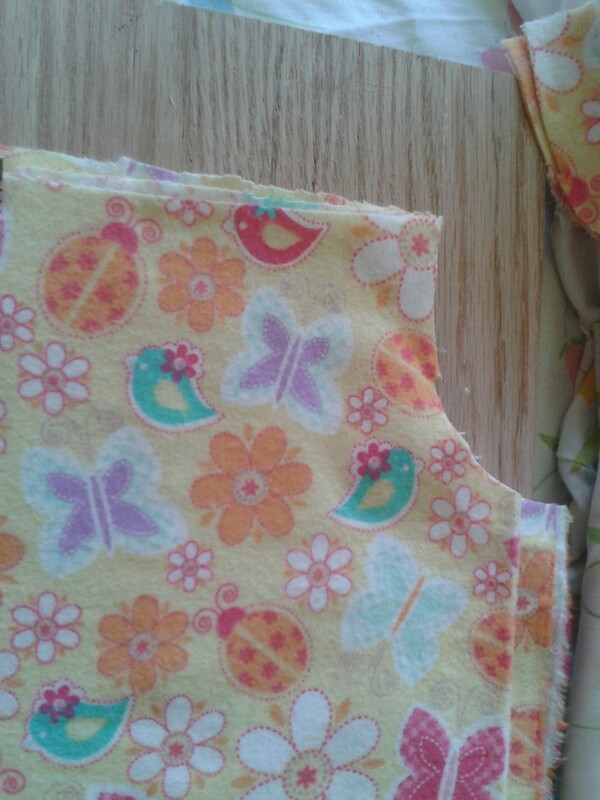 Fold over both long edges to the middle and press. 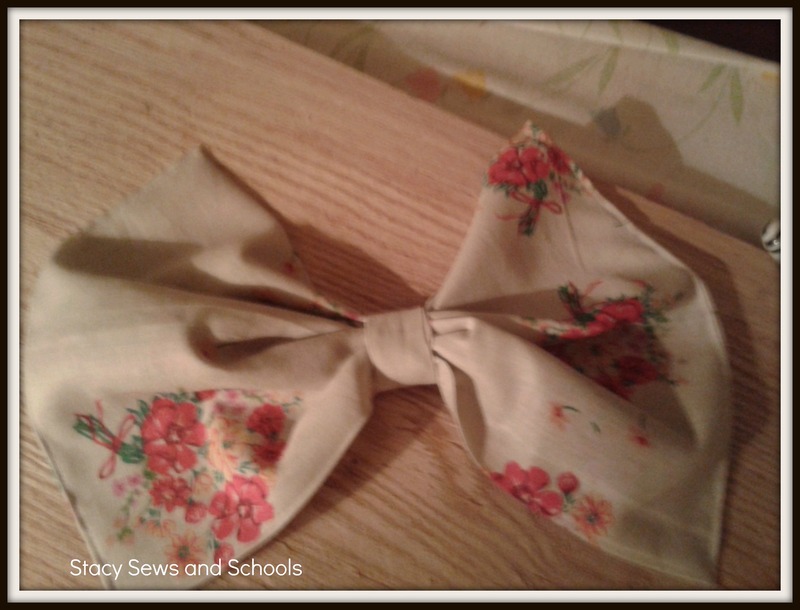 Wrap it around the middle of the other piece making a bow! Now press and press and press the middle. Press again. One more time. Better pictures to come (in the morning). Here’s a tutorial to go along with it! 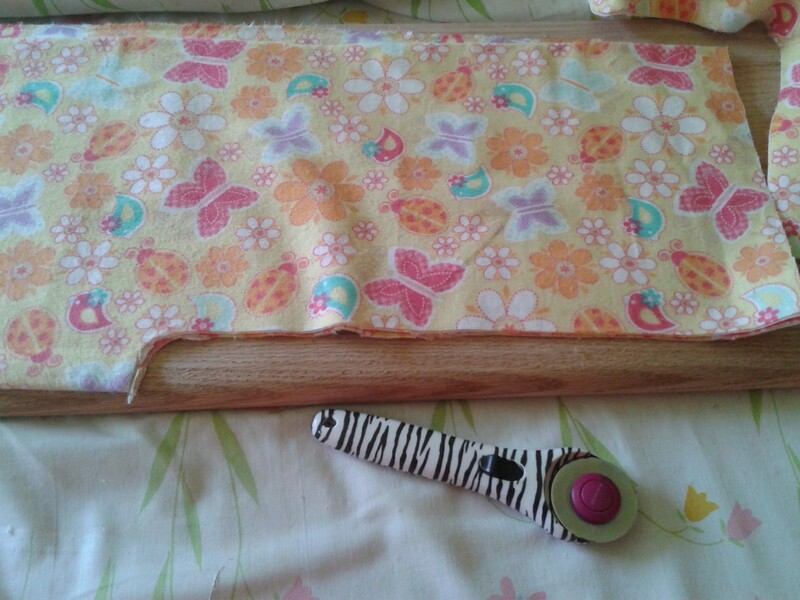 I started with a piece of flannel about 35″ long by 43″ wide. 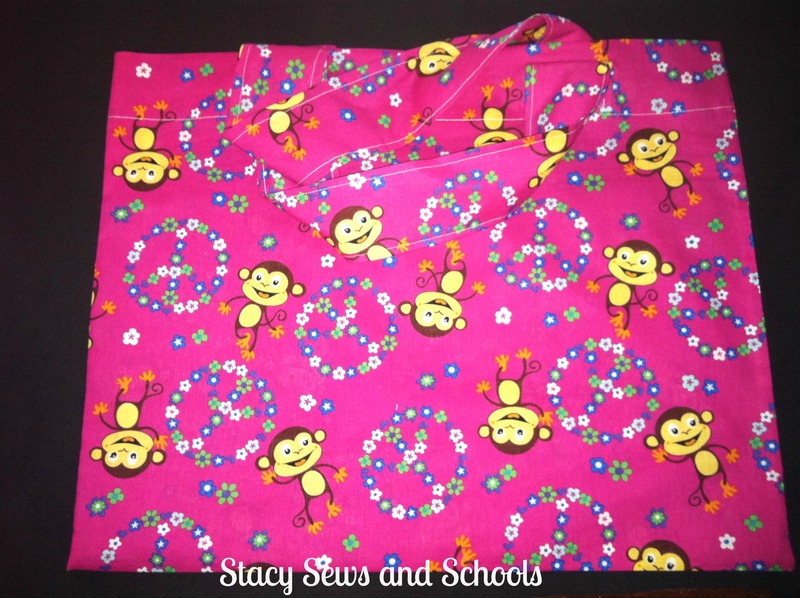 You will also need a pack of extra wide, double fold bias tape in a coordinating color, ribbon and 5/8″ elastic. Step 1- Find something to use as a guide for the arm hole cuts. 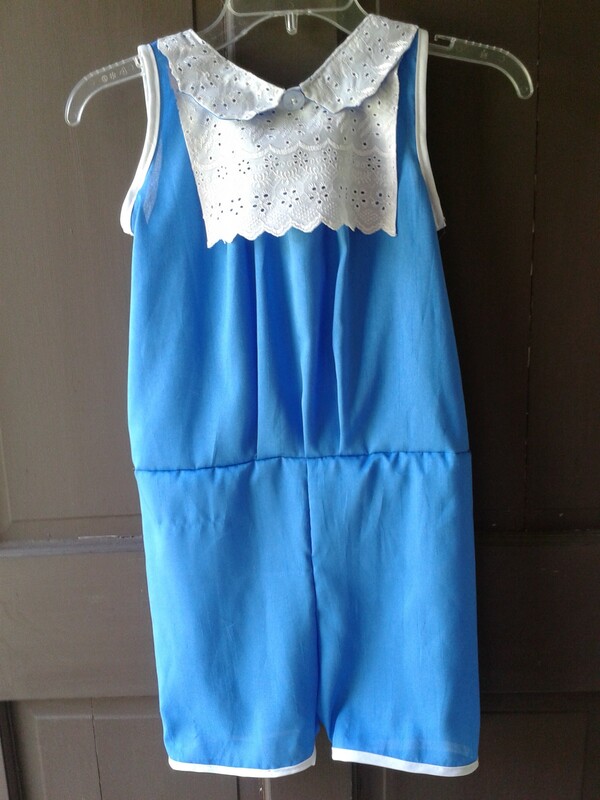 I used one of c1’s nightgowns. 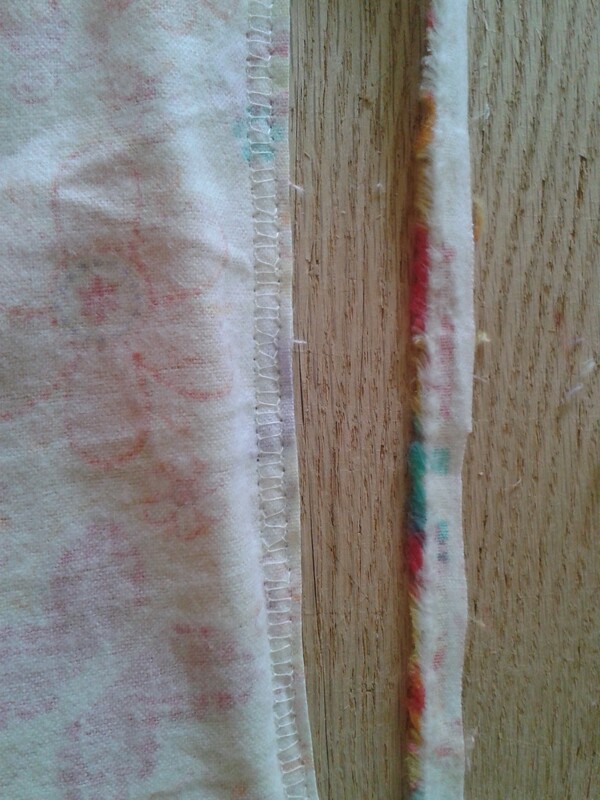 Fold your rectangle into fourths with the selvage hanging over slightly (will be your seam allowance). 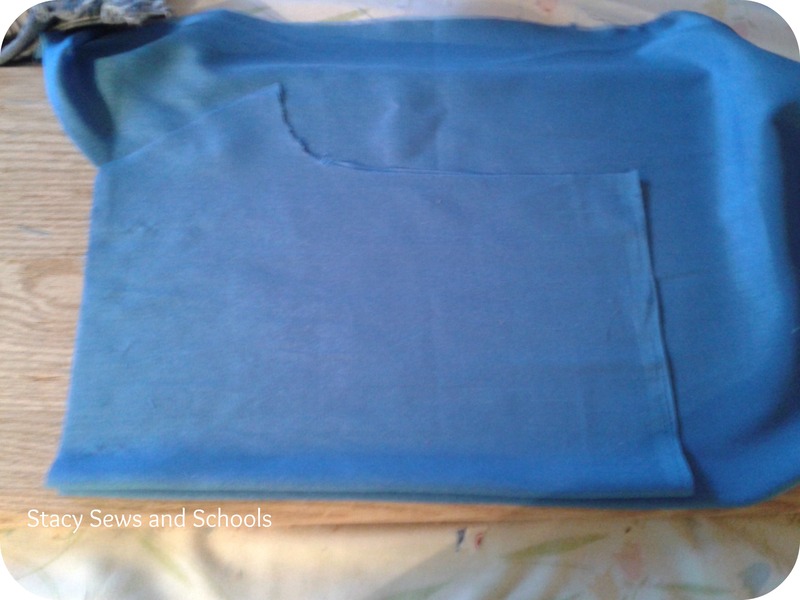 Place your guide on the fabric as shown and cut your arm holes! 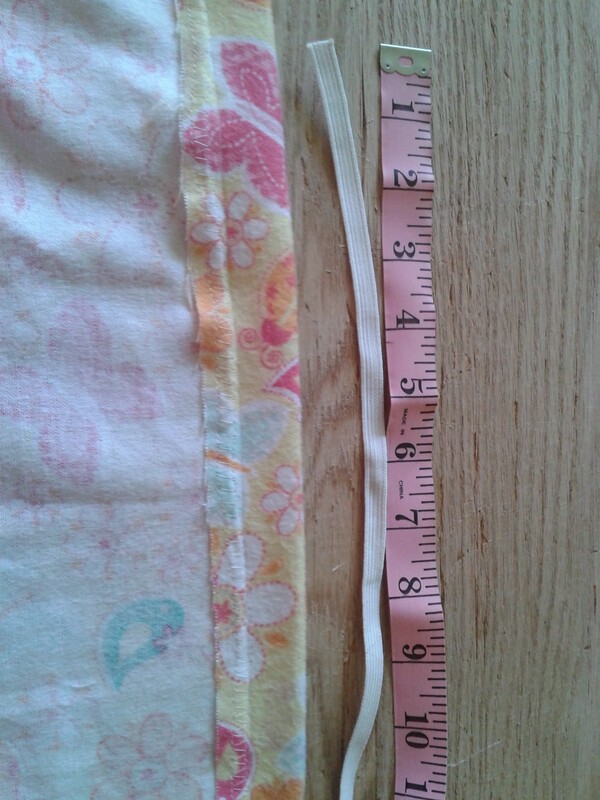 Step 2- While still folded into fourths you will measure where the waist should be and where the legs should start. You will cut to make the legs ON THE FOLD. 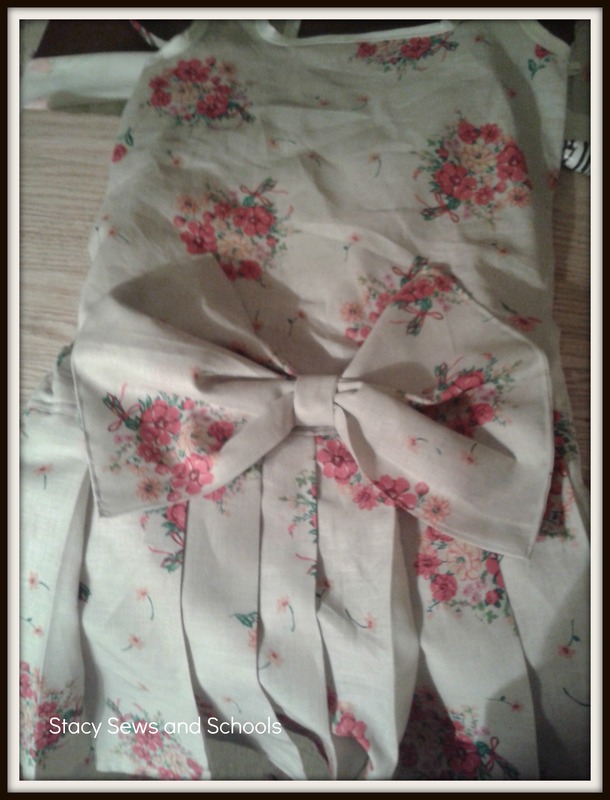 This is what it will look like folded in half. 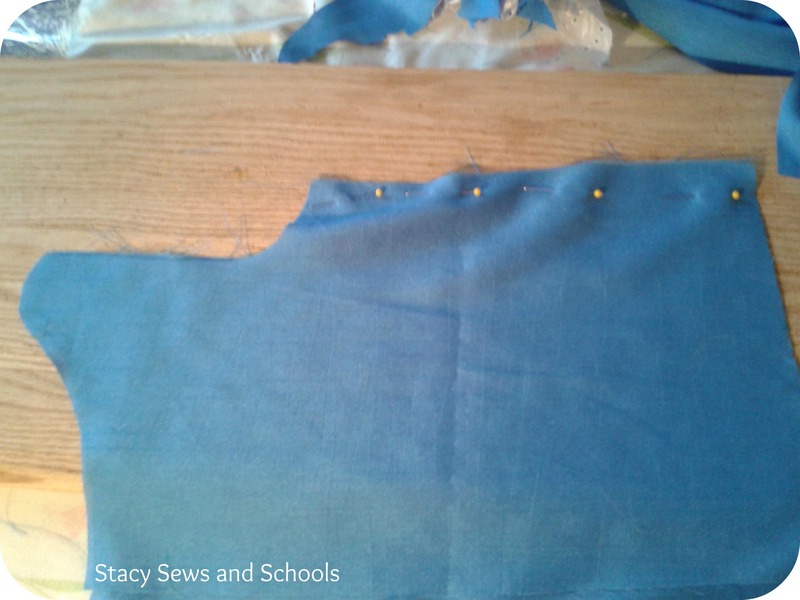 Step 3 – At this point you will want to sew around the raw edges of the arm holes and neck line. 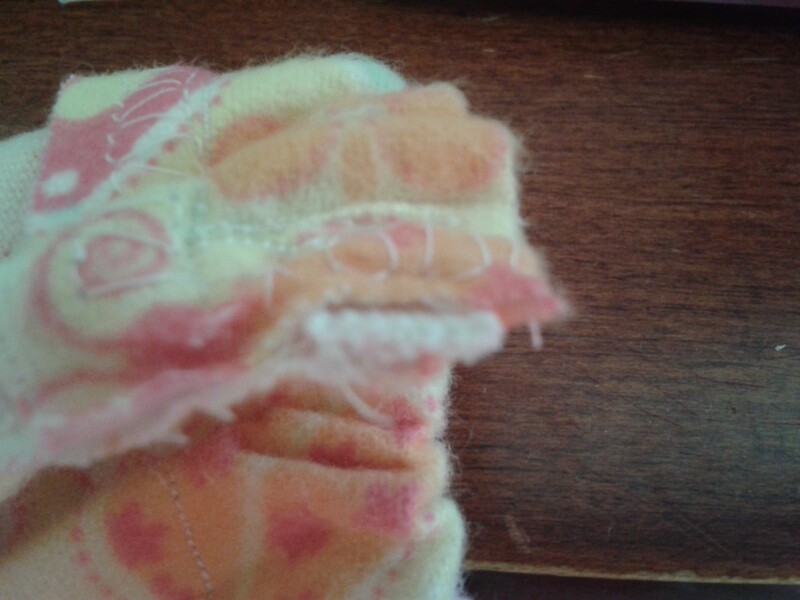 Flannel is THE WORST at fraying. 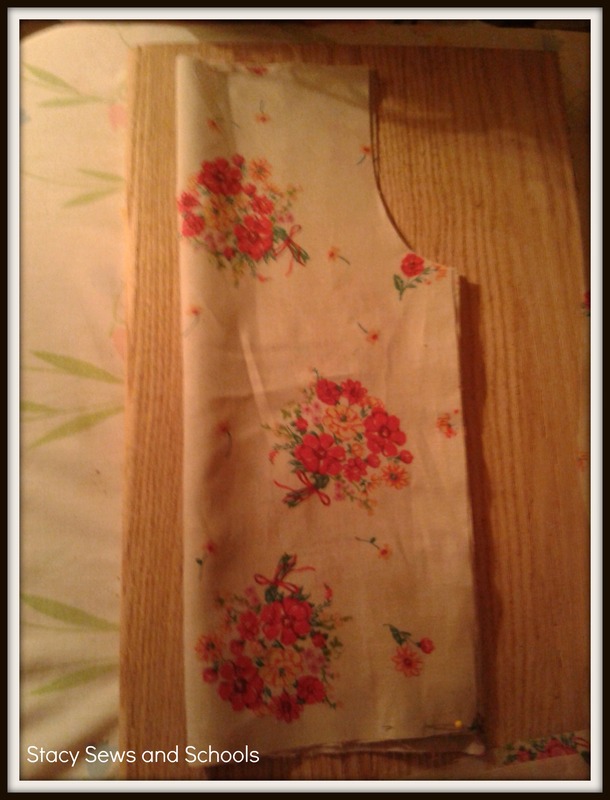 Step 4- Pin your side seam, right sides together and sew it up. Cut off the extra. Step 5- Fold over about 1 1/2 from the top. You are making a casing for elastic so be sure to leave an opening! 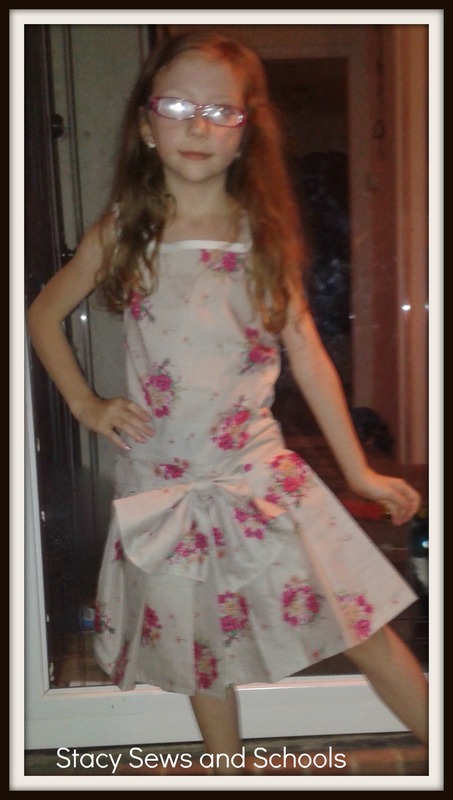 Step 6- Measure the front of your child’s dress and cut the elastic. Step 7- Safety pin each end and either hold tightly to both ends or pin one end to the outside. Insert the elastic into the casing. 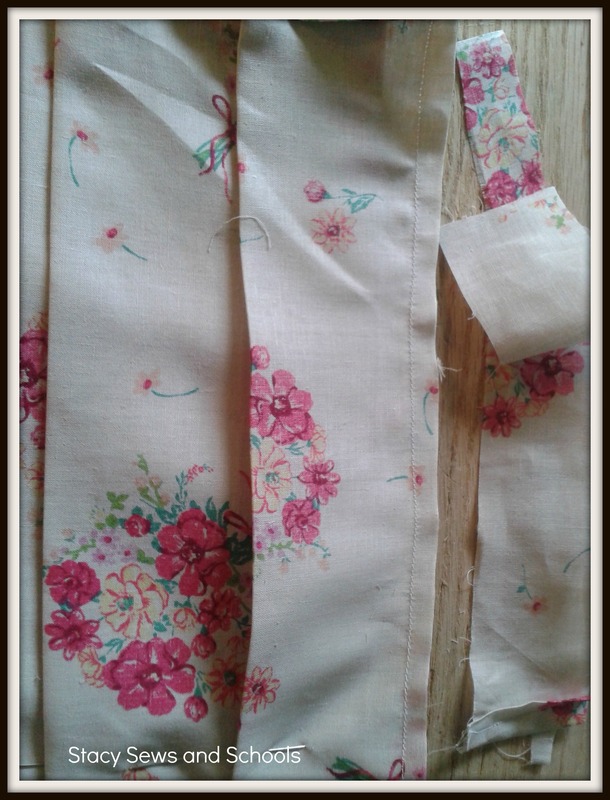 Step 9- Trim the elastic. Do that to the back as well. 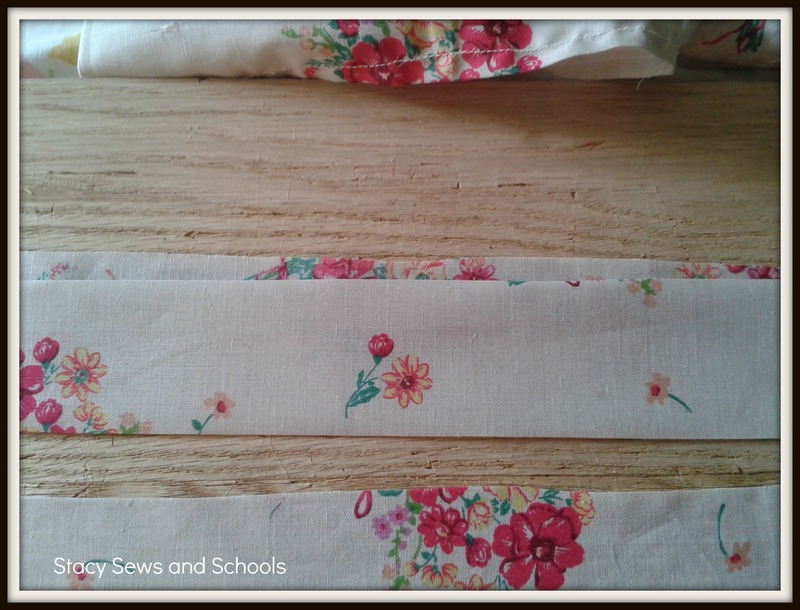 Step 10- Open your bias tape and cut it in half so that you have two 1 1/2 yard pieces. Find the middle, open it up and pin it to the middle of your arm hole. 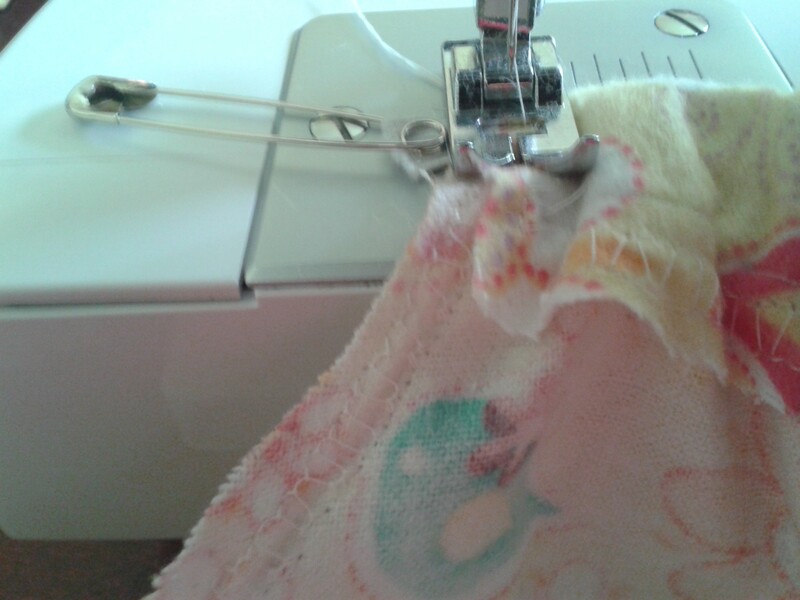 Then sew it up. Do that to both sides leaving the excess hanging off, that will be your tires. 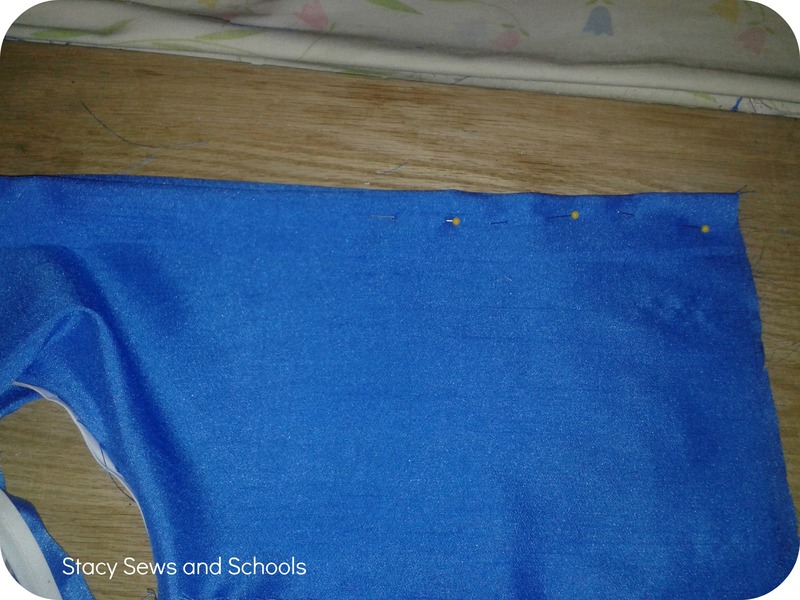 Step 12- Pin and sew up your inseam. Afterward I went back and reinforced the crotch. 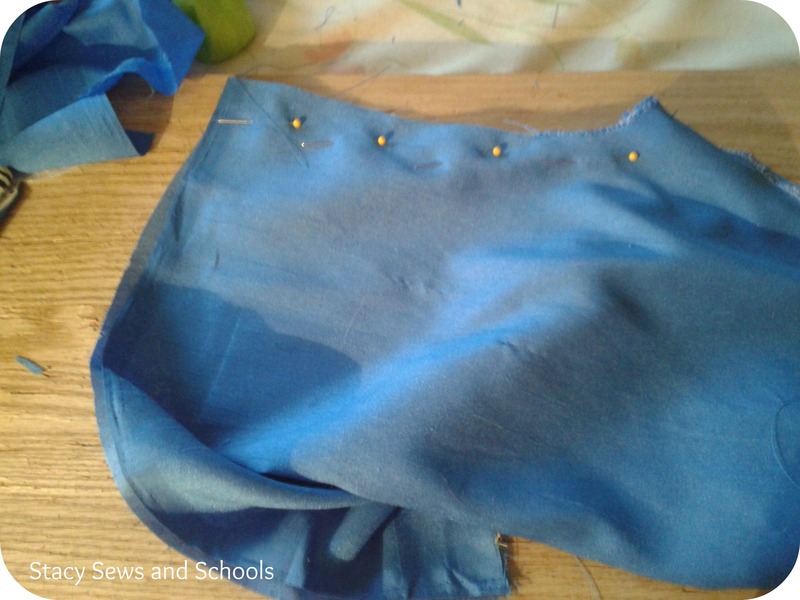 Step 13- Sew the raw edges of the legs. 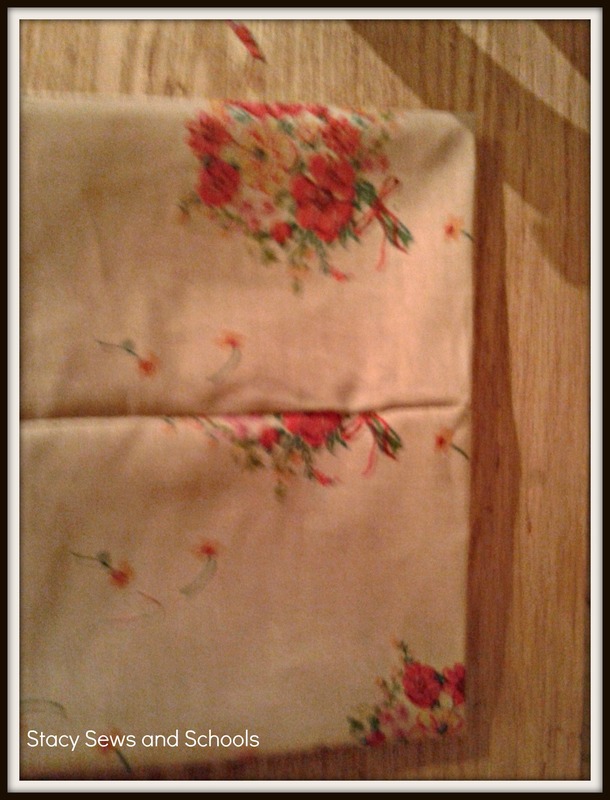 Step 14- Fold up and pin the bottoms of each leg about 1 1/2 inches and sew an elastic casing. Make sure to leave an opening! 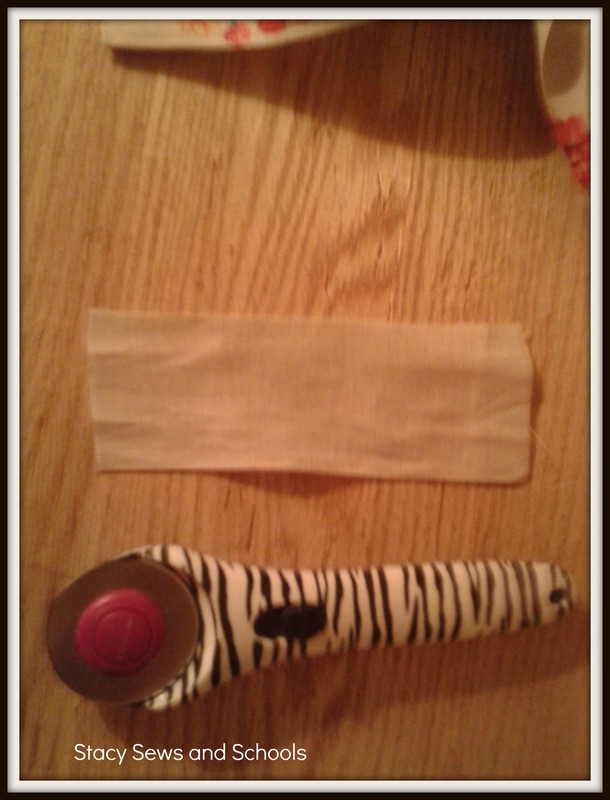 Step 15- Cut two lengths of elastic that will fit comfortably around your child’s calves. Safety pin each end and insert. 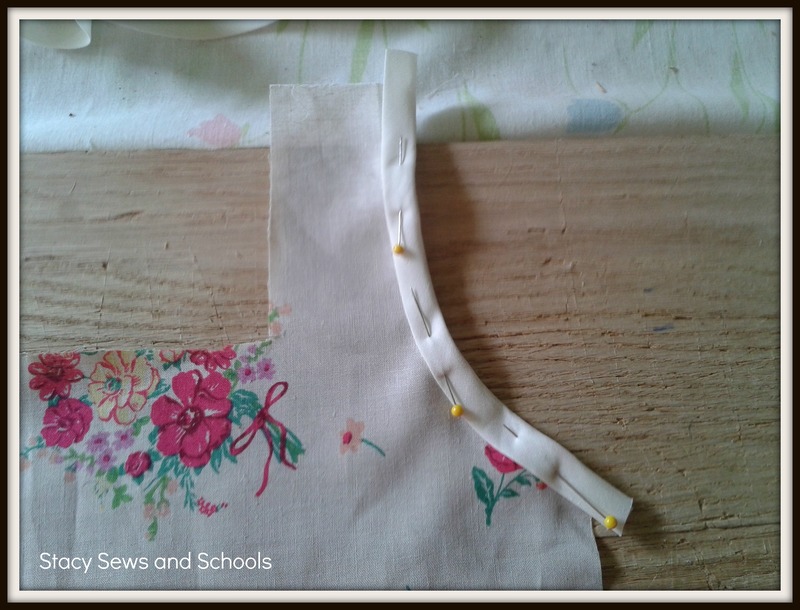 Step 16- Sew the ends of the elastic together. Do that to both legs. 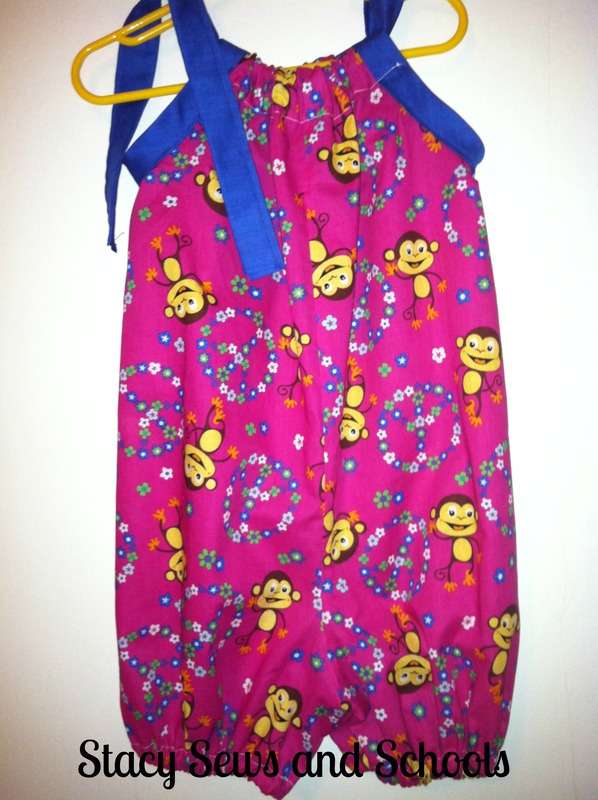 Now you can stop here if your child prefers loose garments. This is what you will have. 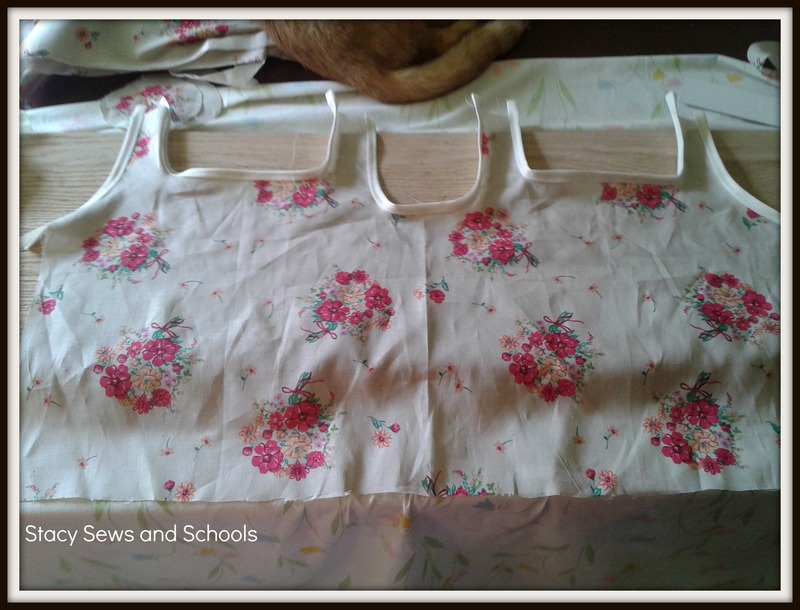 Step 18 – Measure where you need the waist to be and mark it. 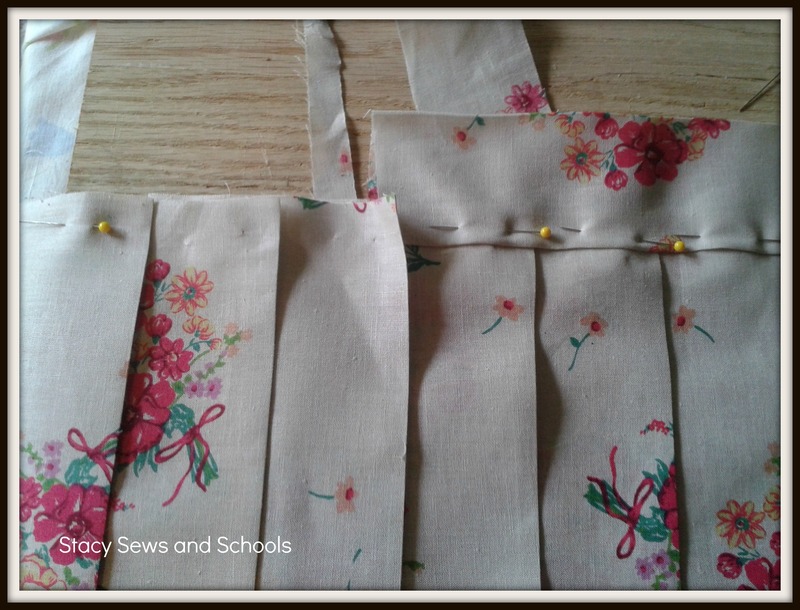 Start pinning your ribbon around the outside. 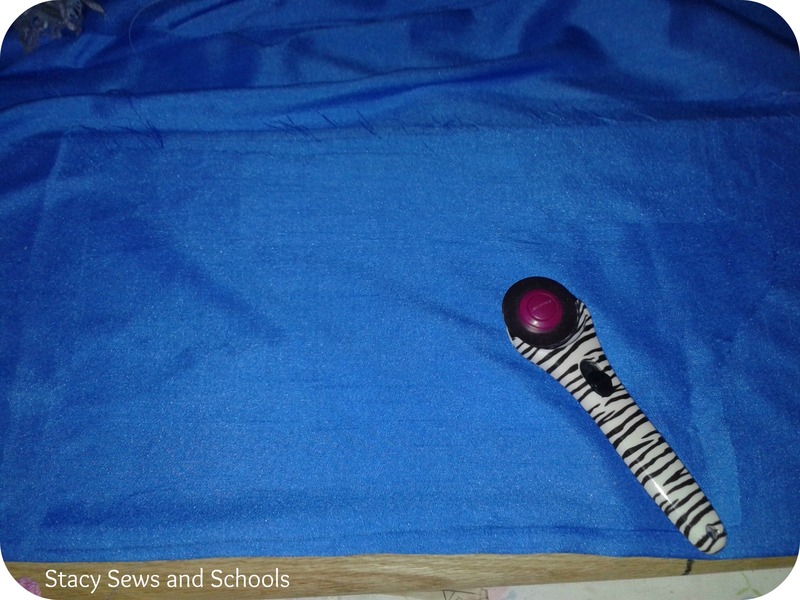 Step 19 – Sew the top and bottom of the ribbon making sure to leave an opening to insert elastic. 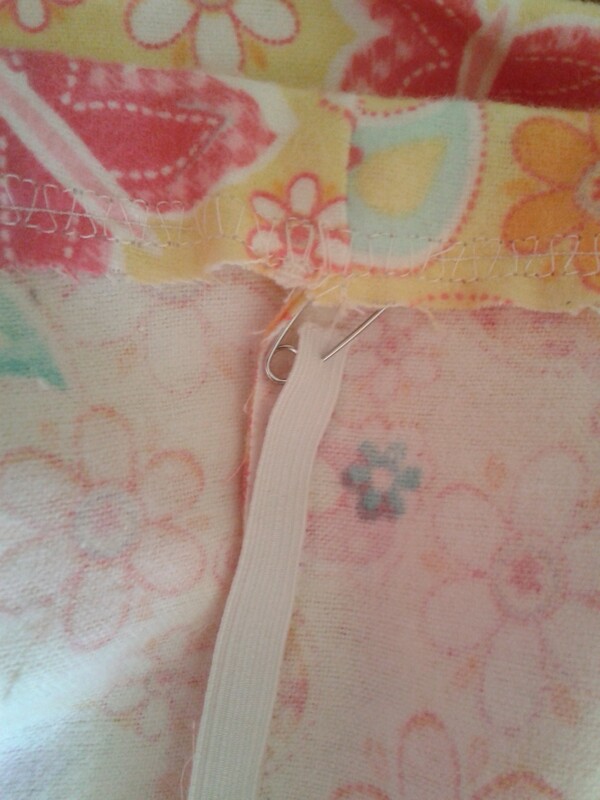 Step 20- Safety pin both ends of your elastic and insert through the ribbon. 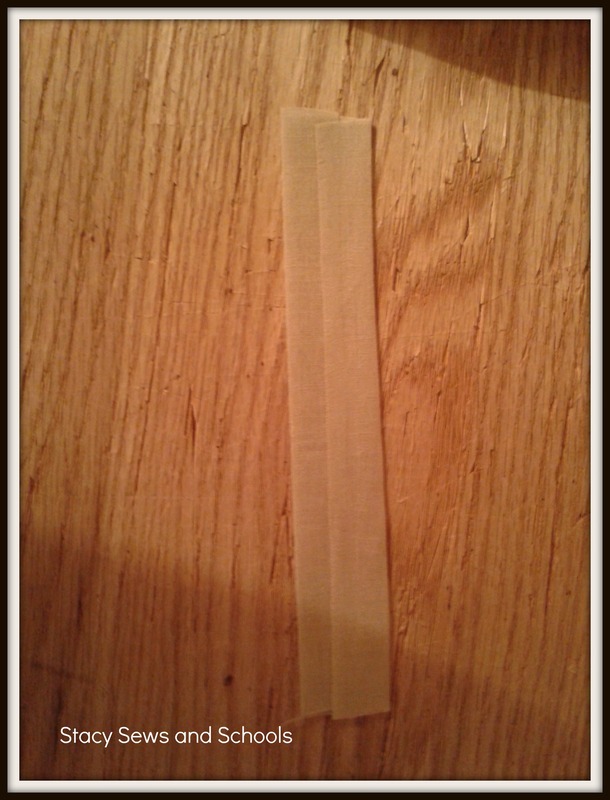 Step 21- Sew the ends of the elastic together. Step 22- Sew the opening closed. Step 23- Tuck one end of the ribbon inside the opening, then fold over the end in and tuck it in, too.